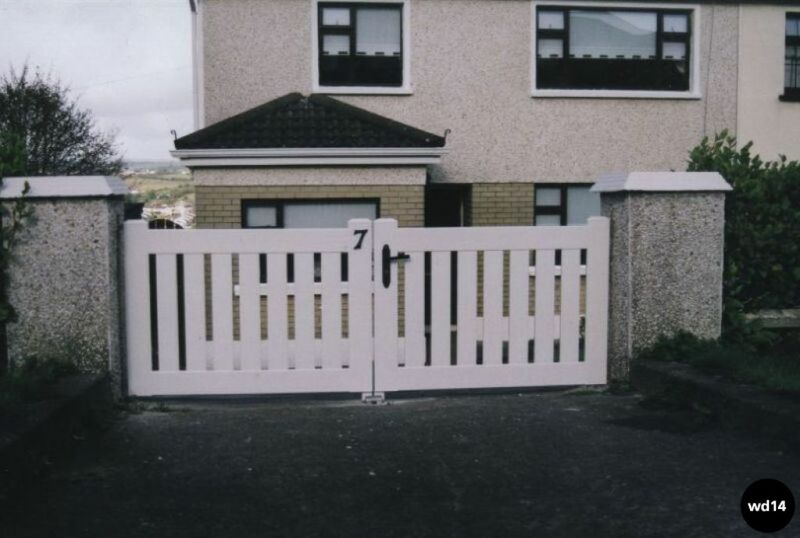 The reason PVC Gates & Railings are so popular, is that they require very little maintenance and will not rust or corrode like wood. 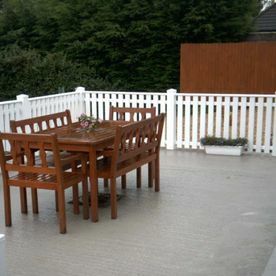 No more sanding, staining or painting, a simple wash down will have them like new again. 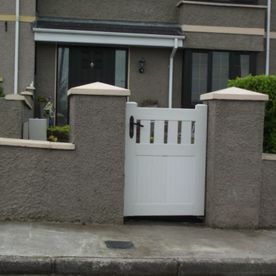 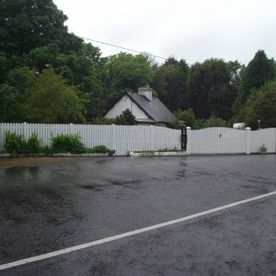 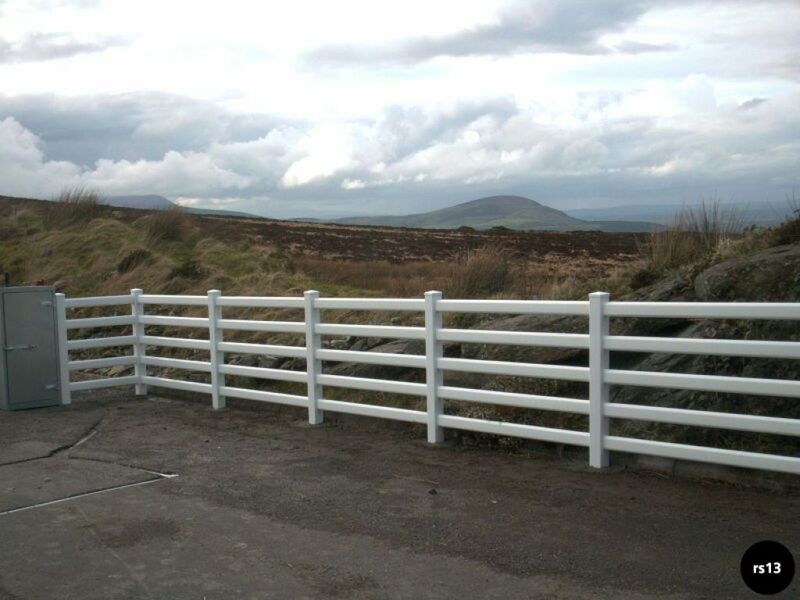 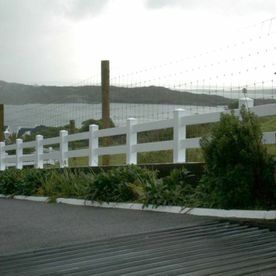 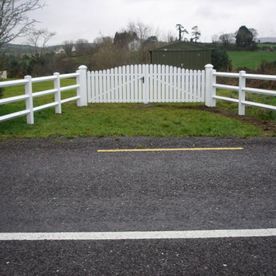 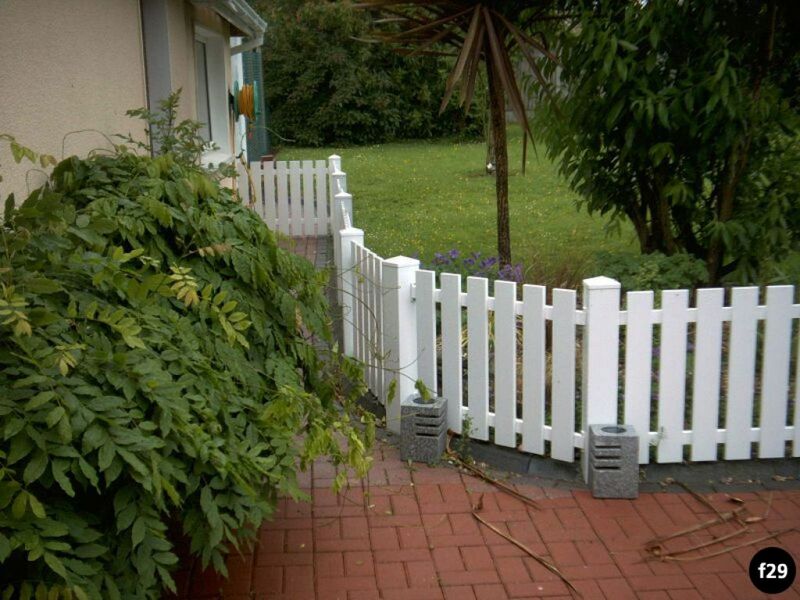 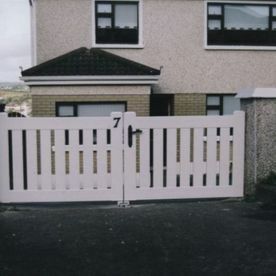 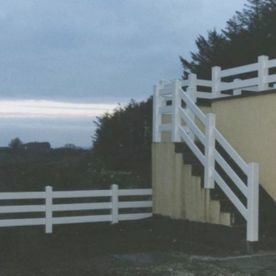 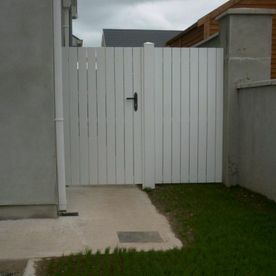 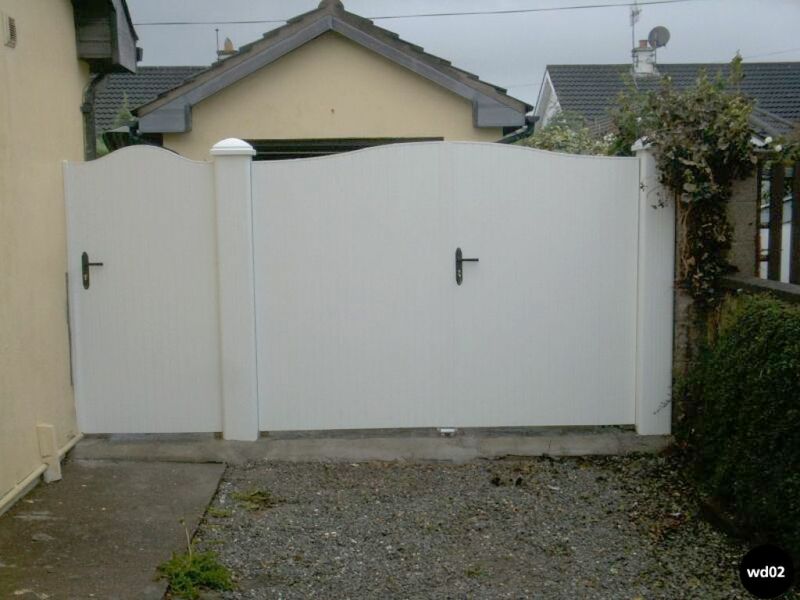 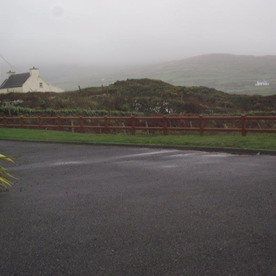 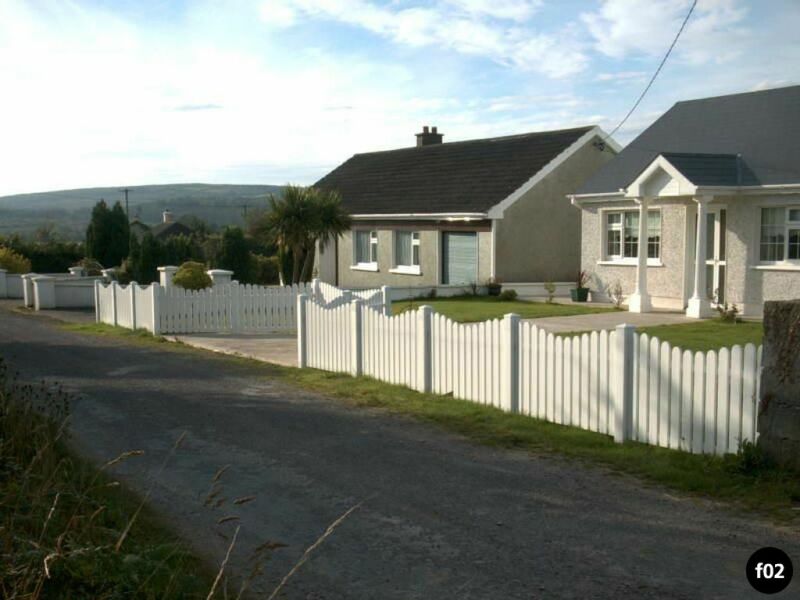 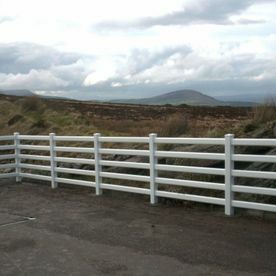 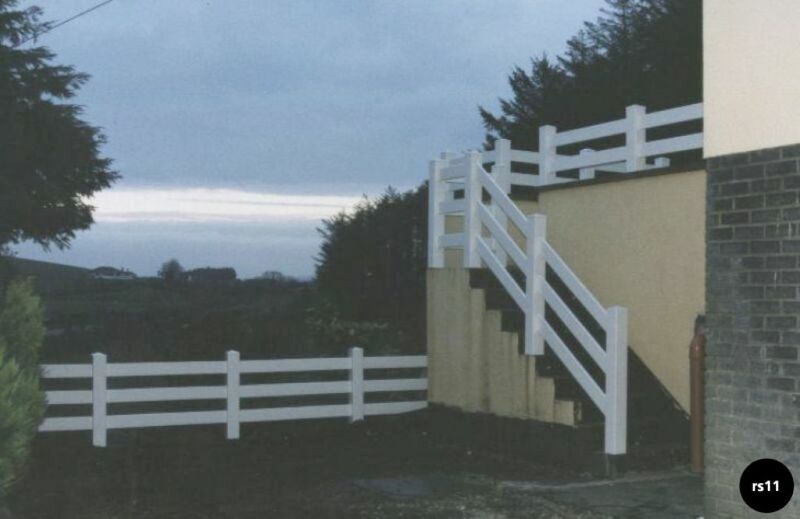 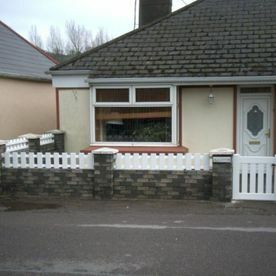 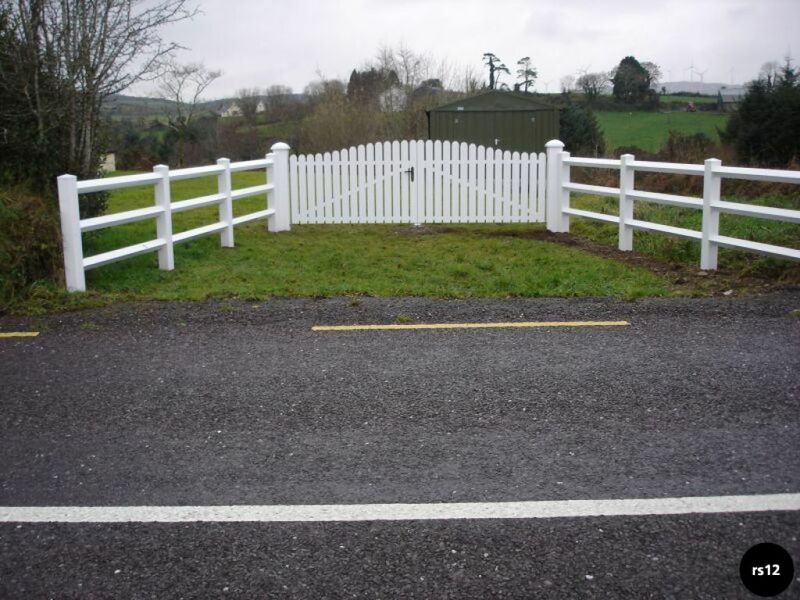 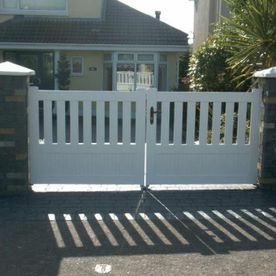 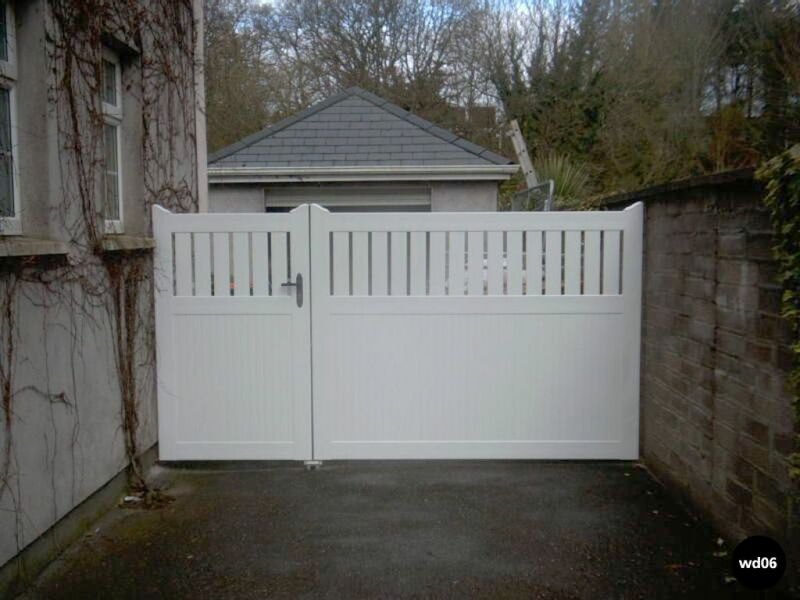 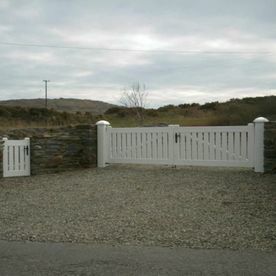 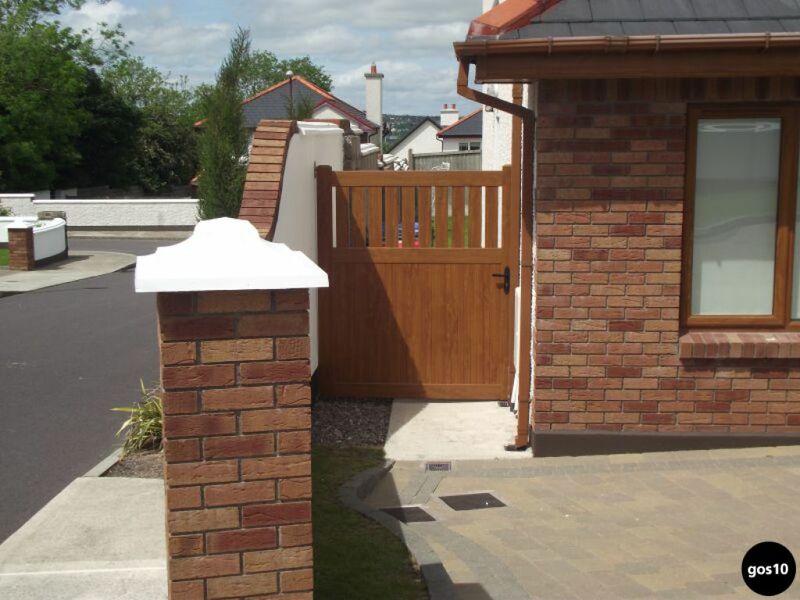 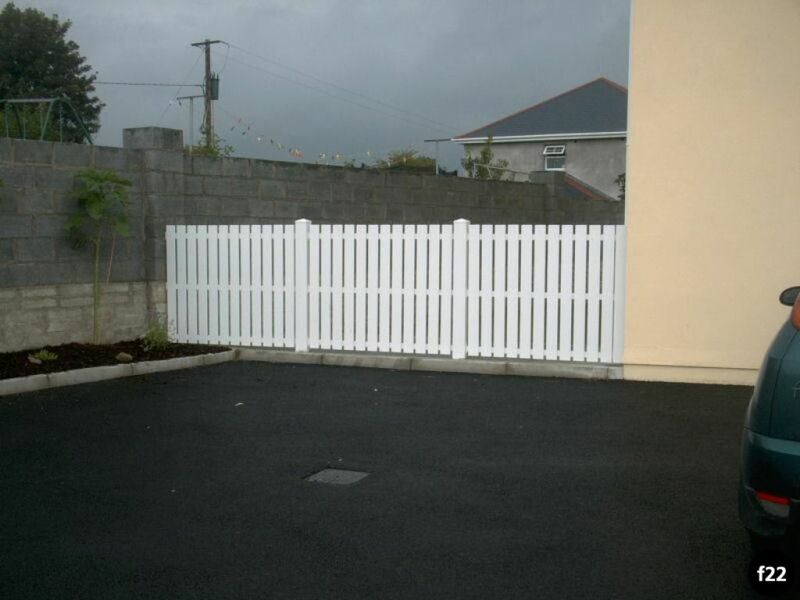 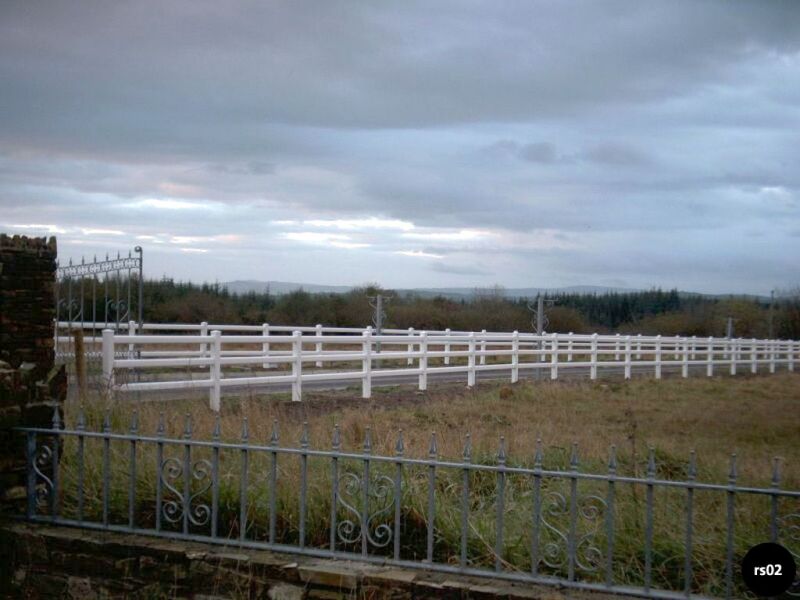 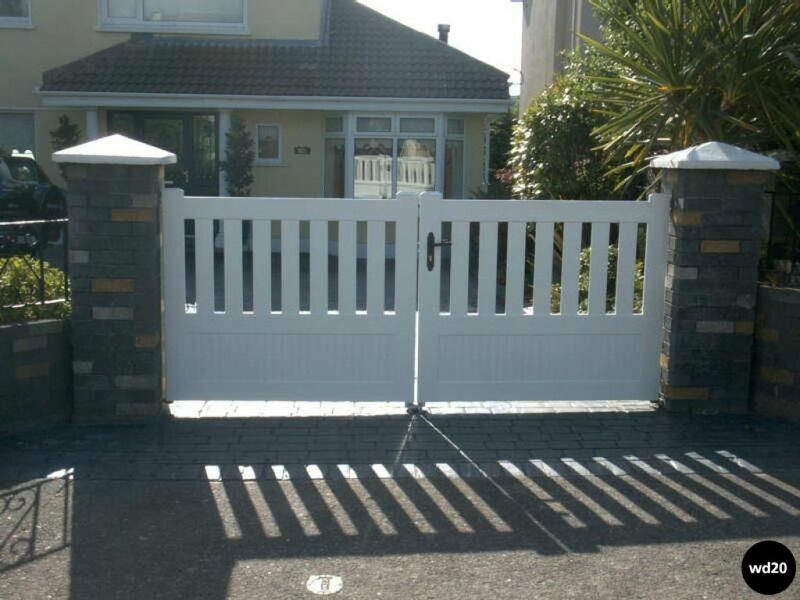 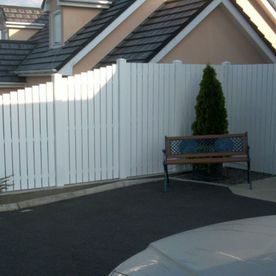 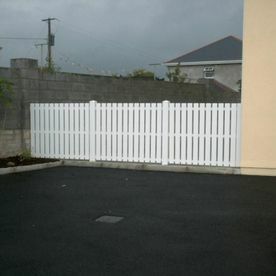 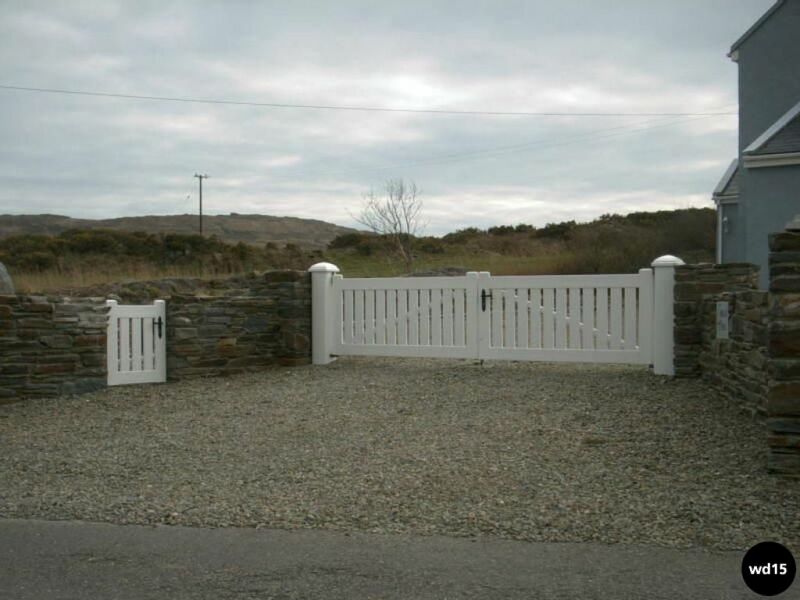 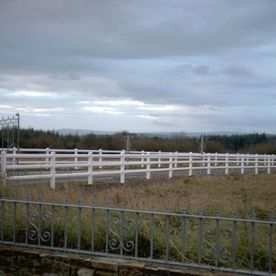 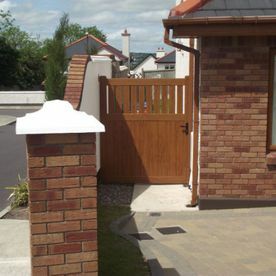 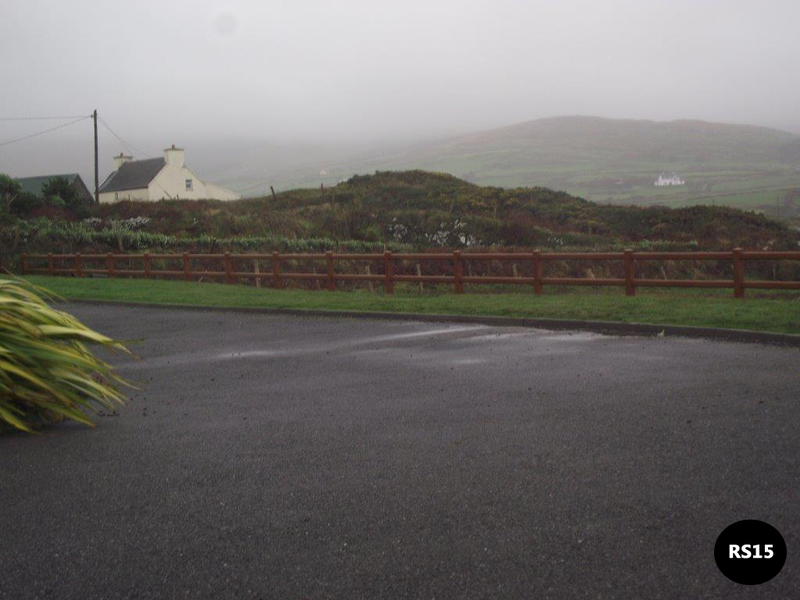 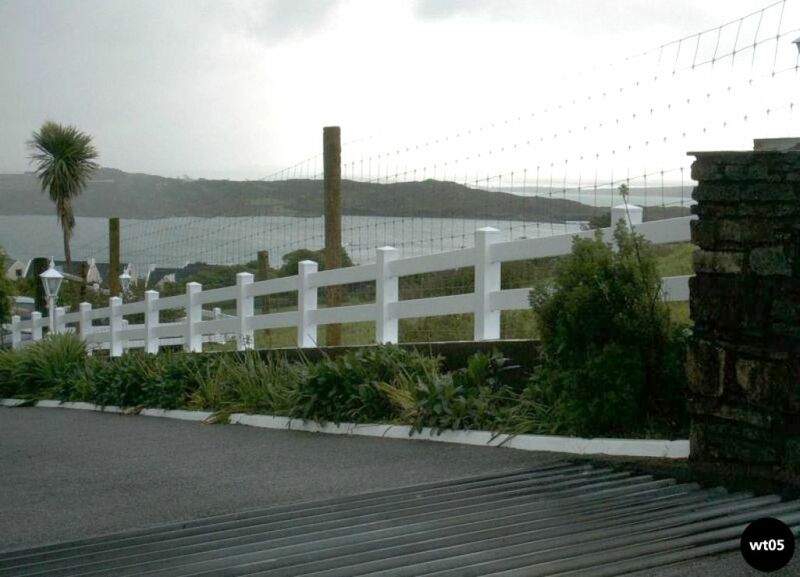 When people think of pvc gates & railings, they often think of simple white products. 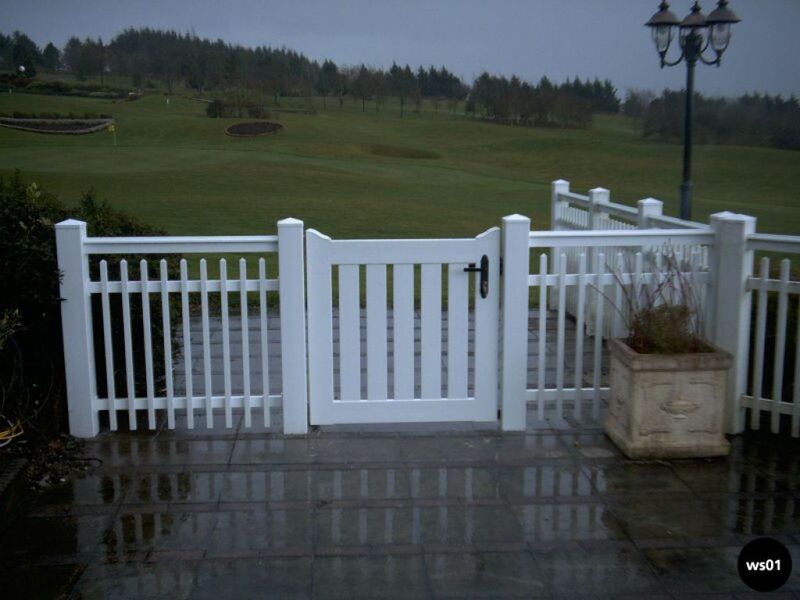 Our range comes in a variety of colours and styles, so you can always find something that will tie in with your garden or business. 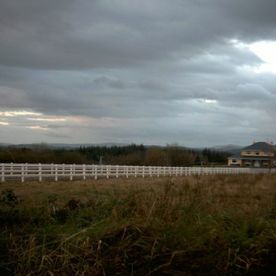 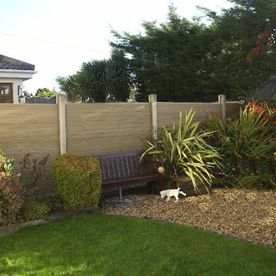 The new vinyl fence you install today will still look as good as new, years from now without an expensive upkeep required by other conventional fence materials. 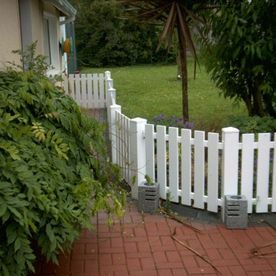 There is also no risk of injury to children or pets from slivers or splinters, and no concern about rust, corrosion or termite infestation. 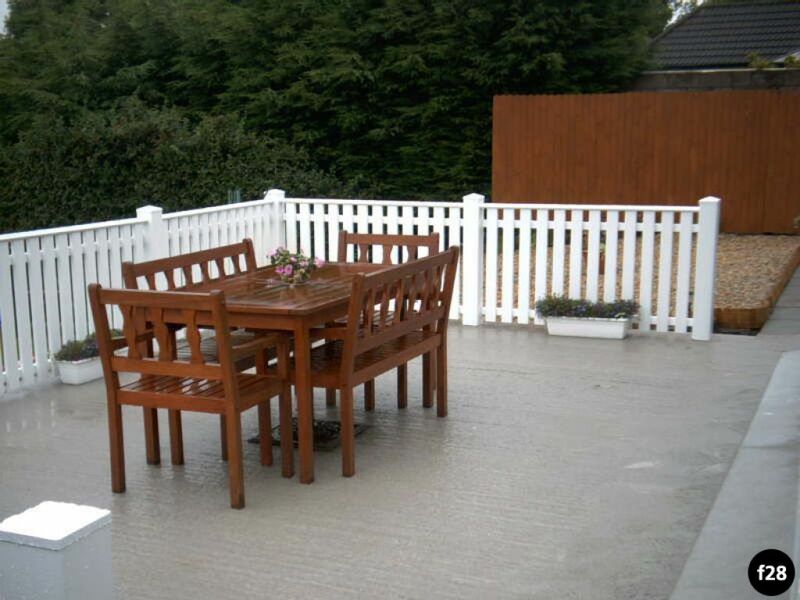 PVC does not require sanding / painting / varnishing during its life. 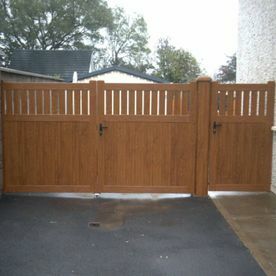 It is easily cleaned – a simple wash with water and detergent can have it like new. 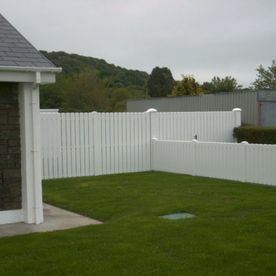 PVC is very strong and durable. 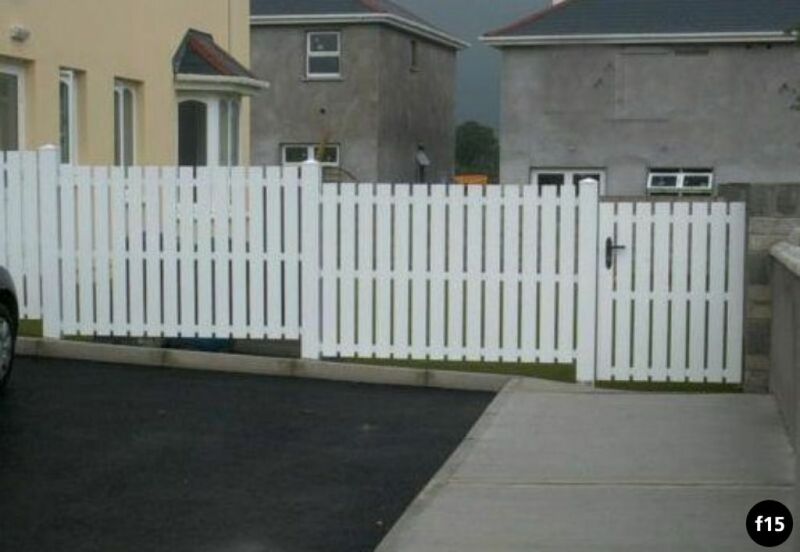 Will not warp like wood. 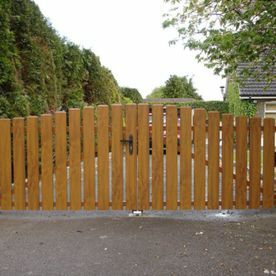 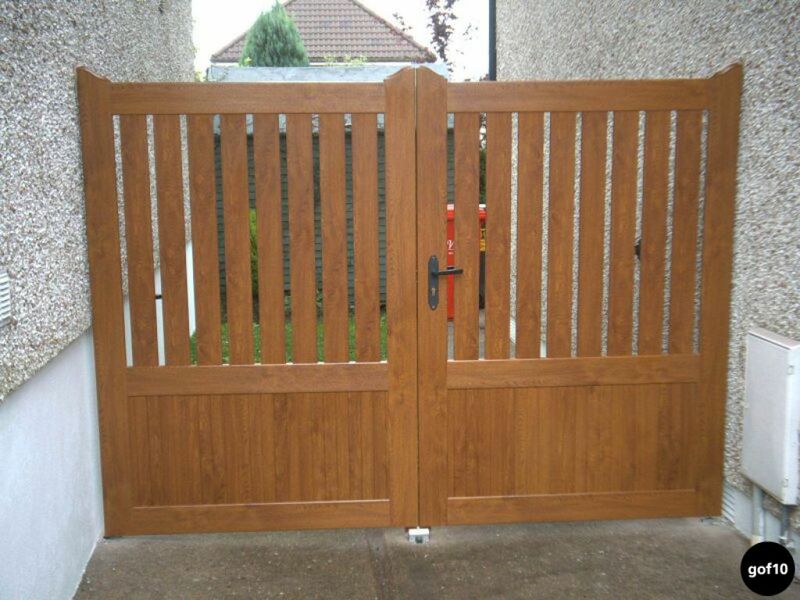 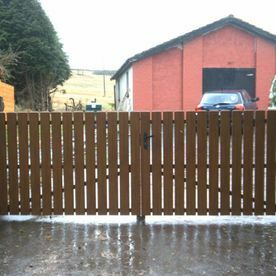 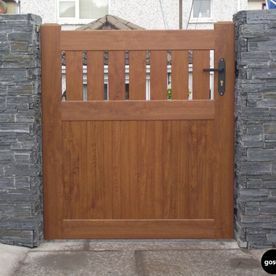 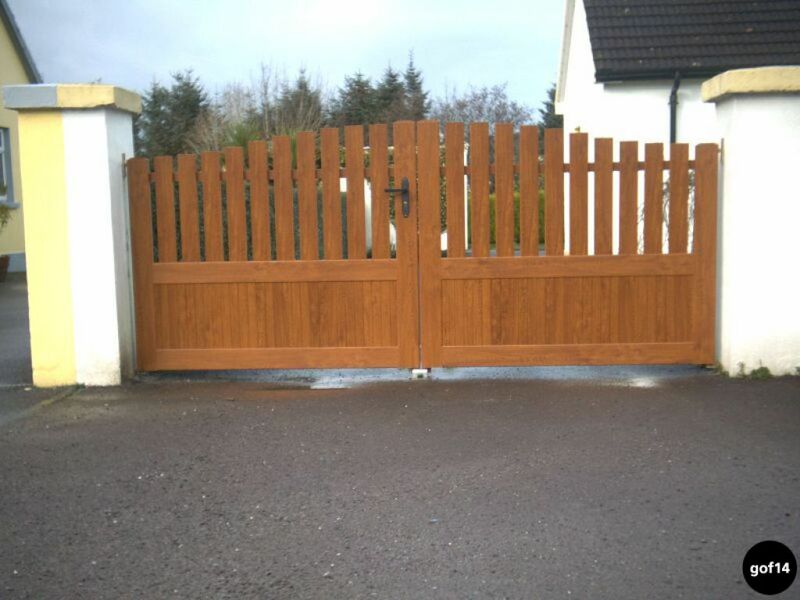 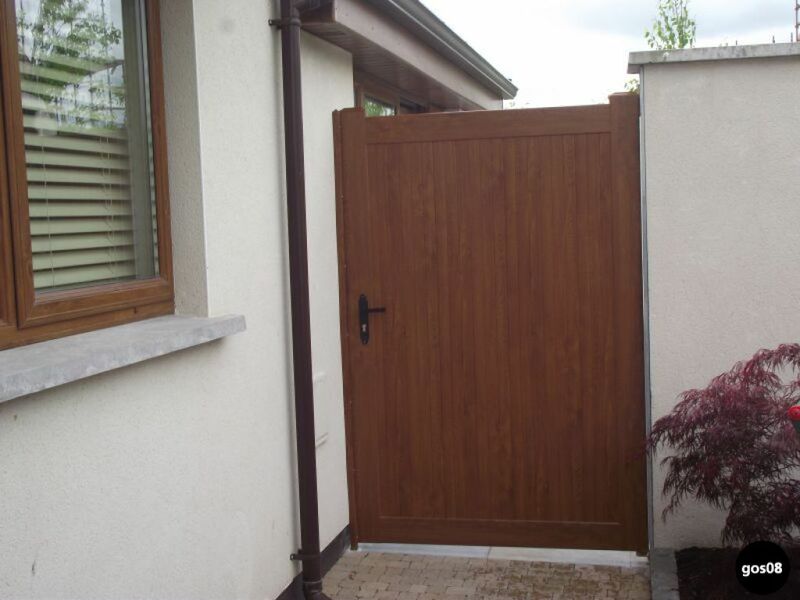 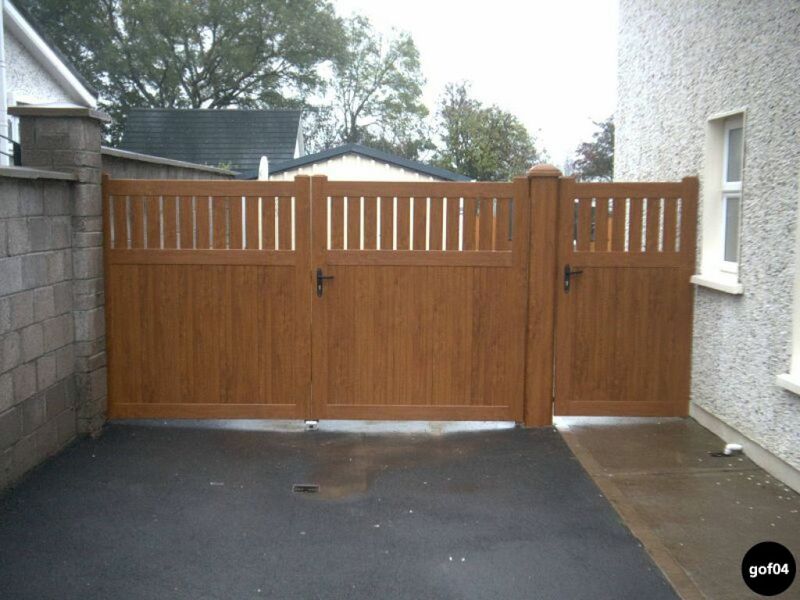 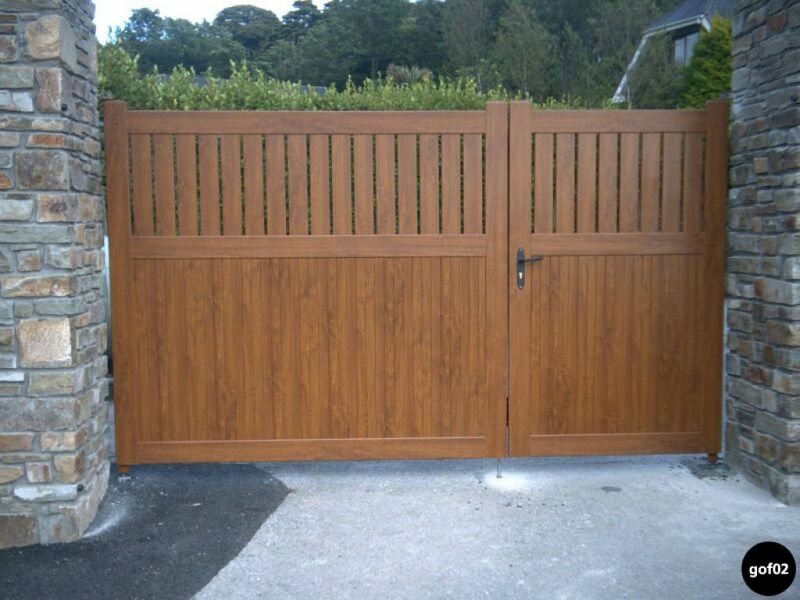 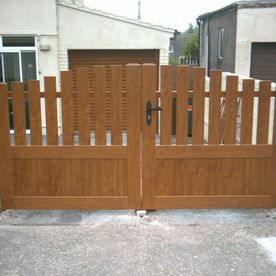 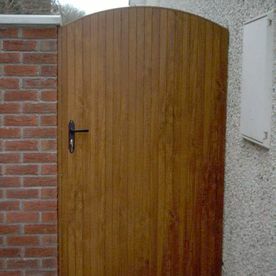 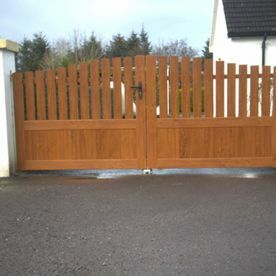 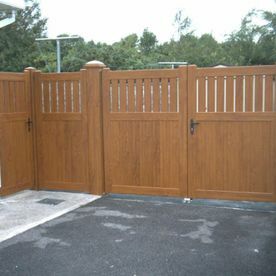 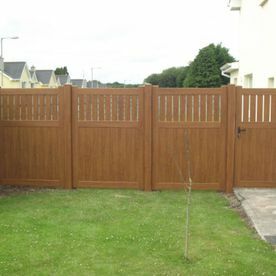 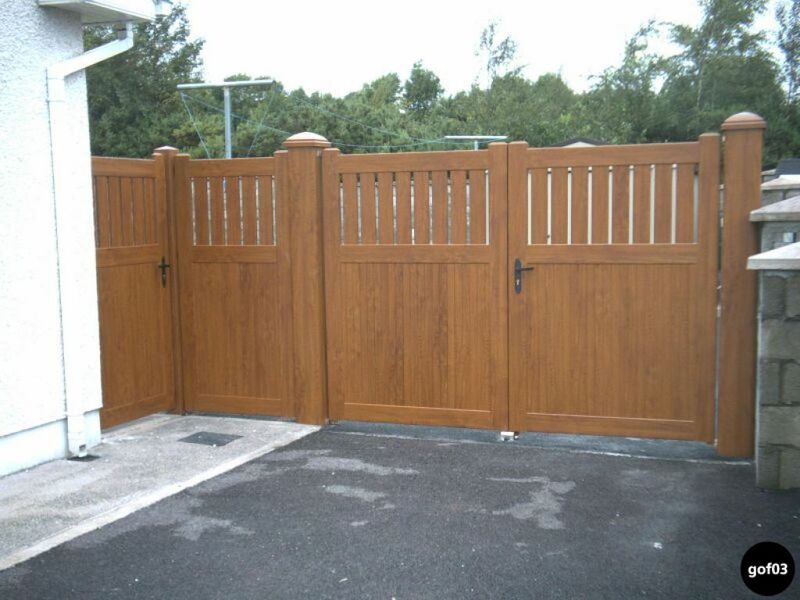 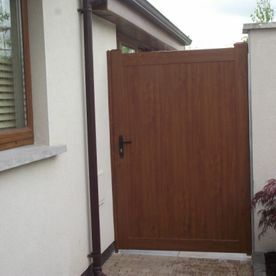  Our PVC Oak gates look like wood, whilst offering all the advantages of PVC. 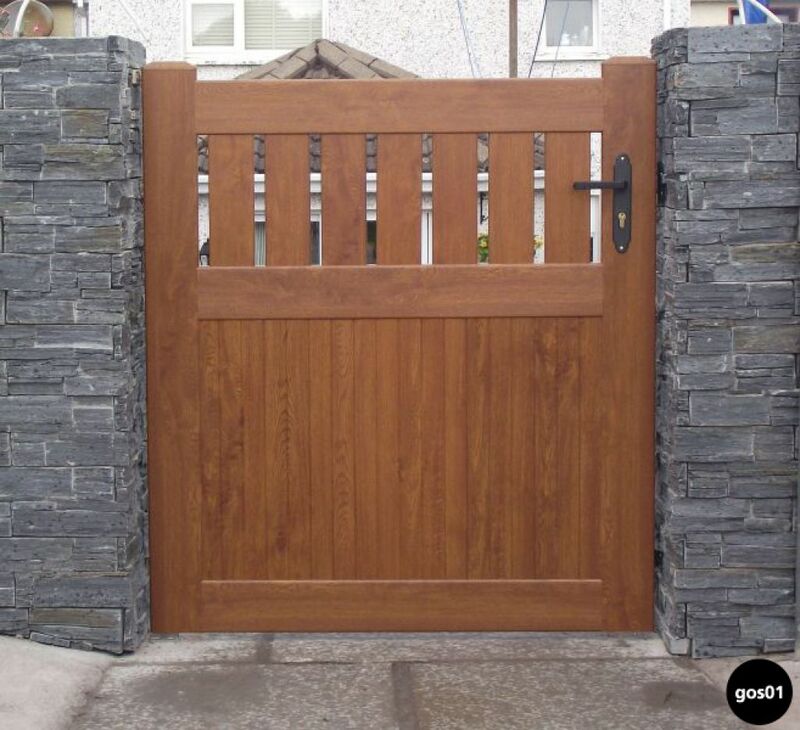 Opt for a more natural look with an oak finish. 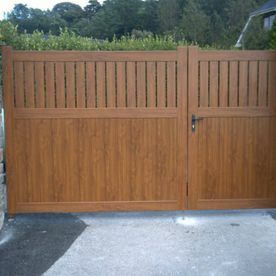 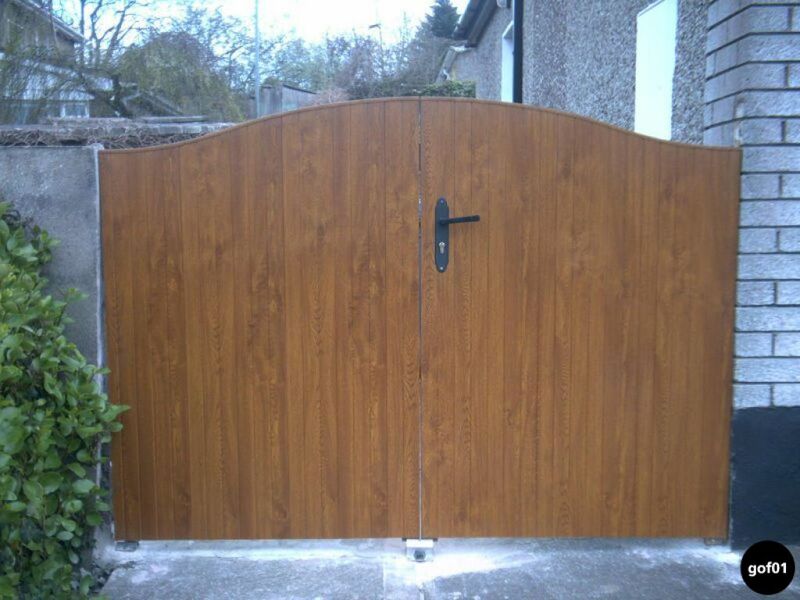 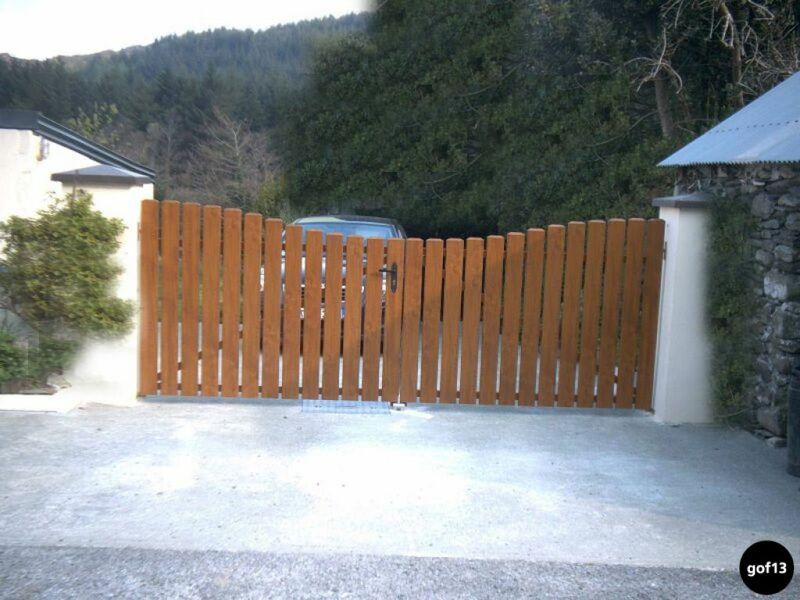 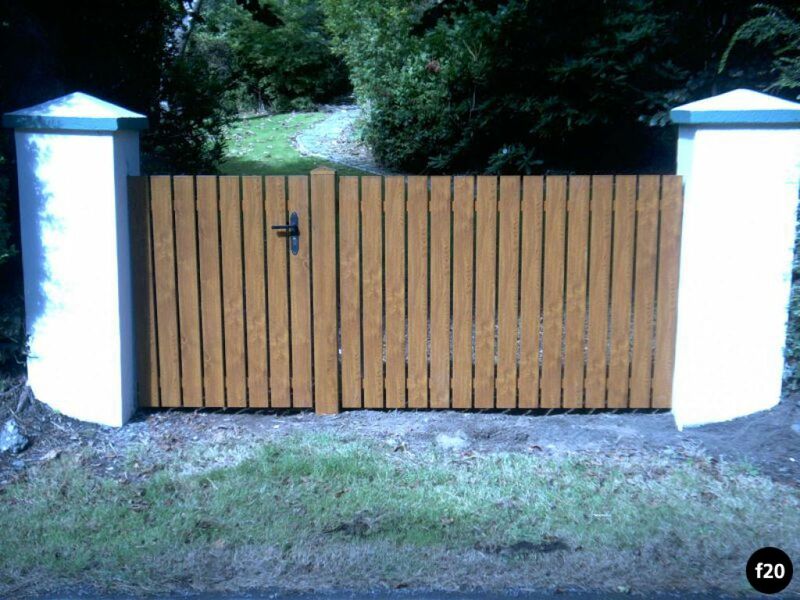 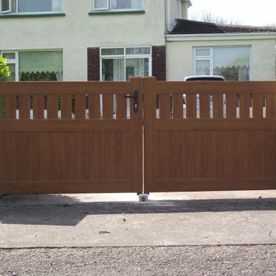 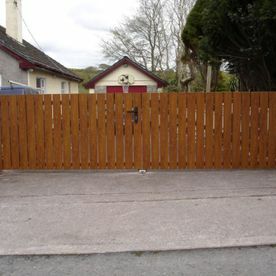 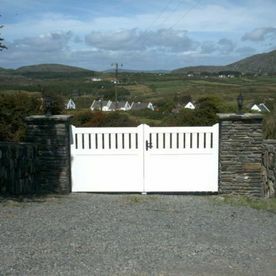 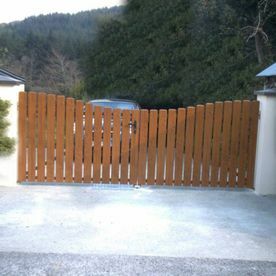 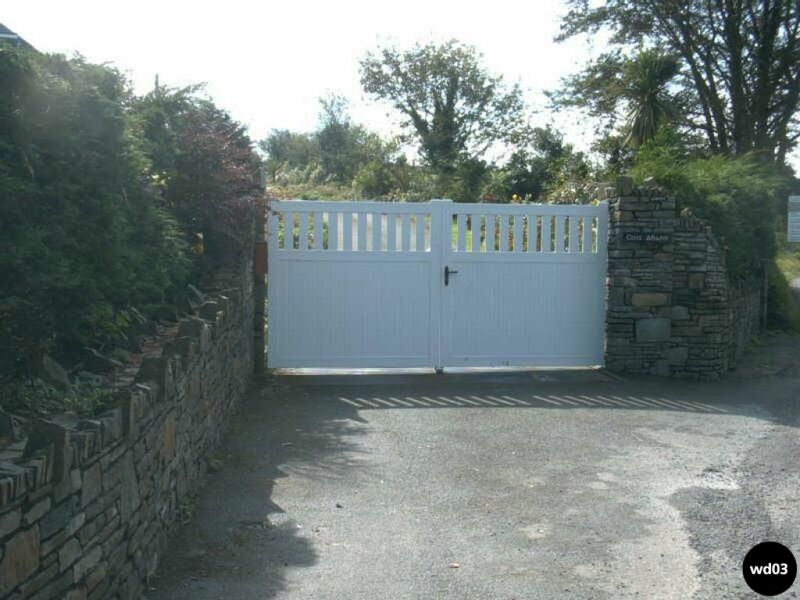 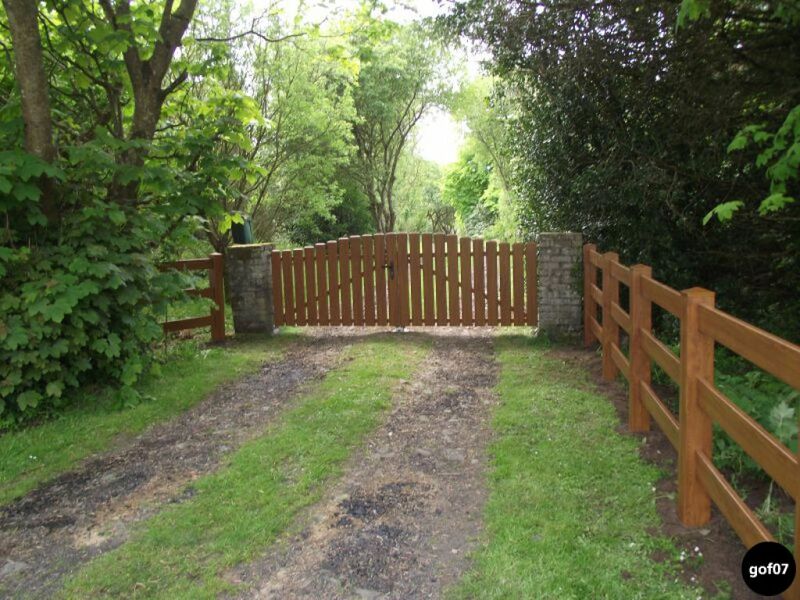 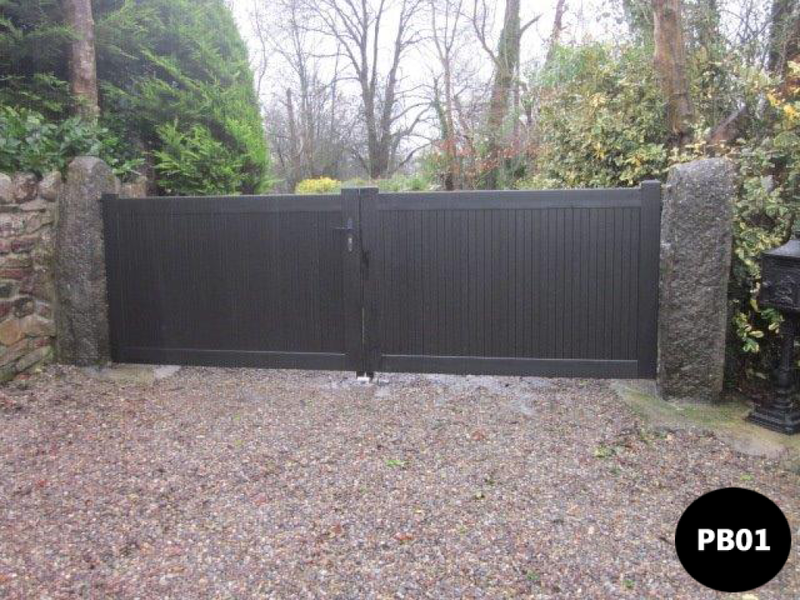 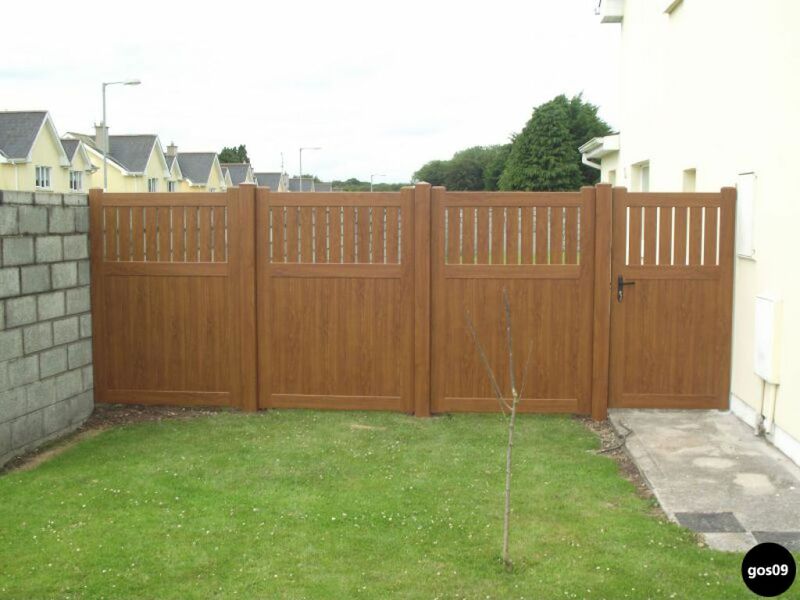 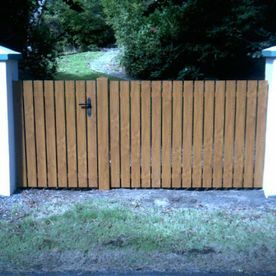 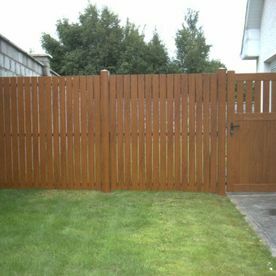 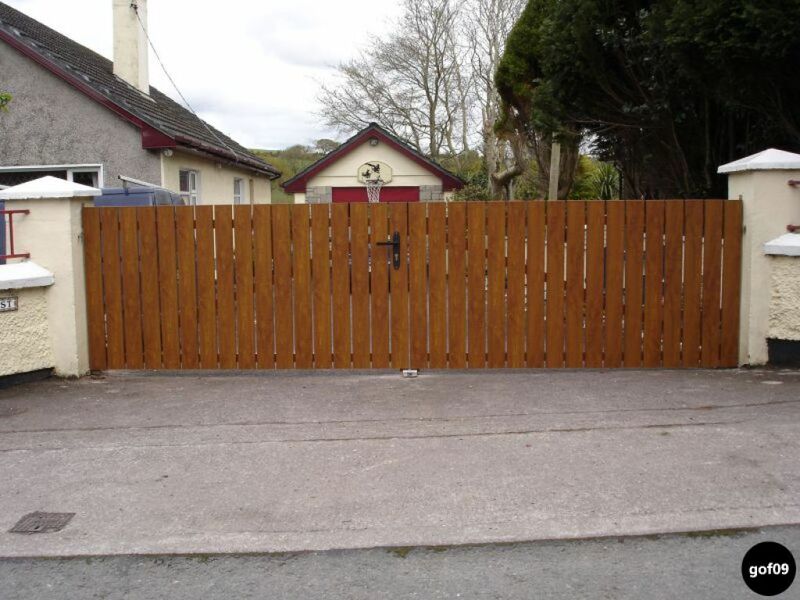 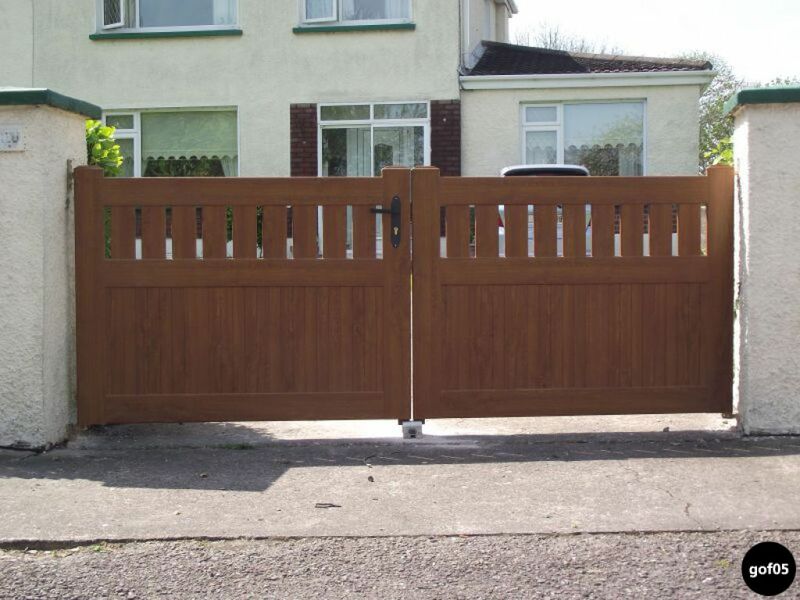 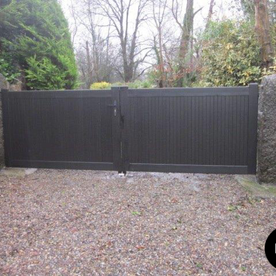 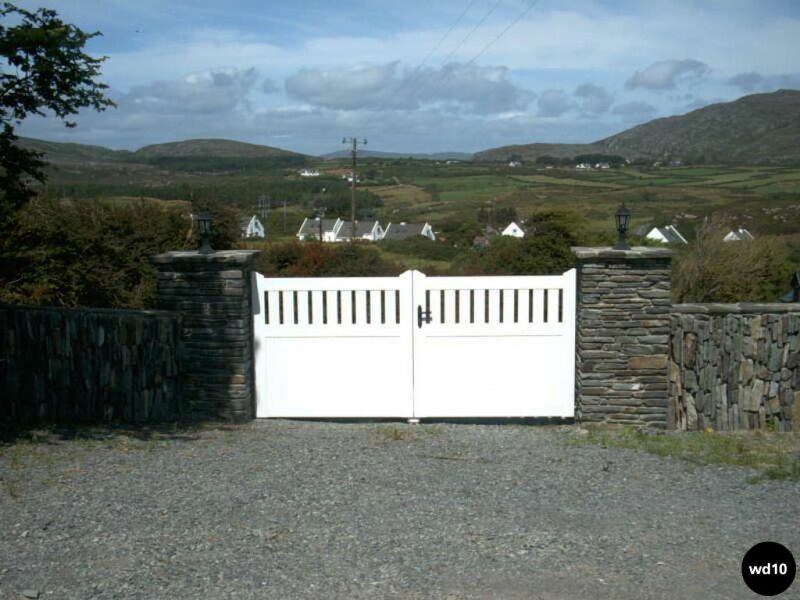 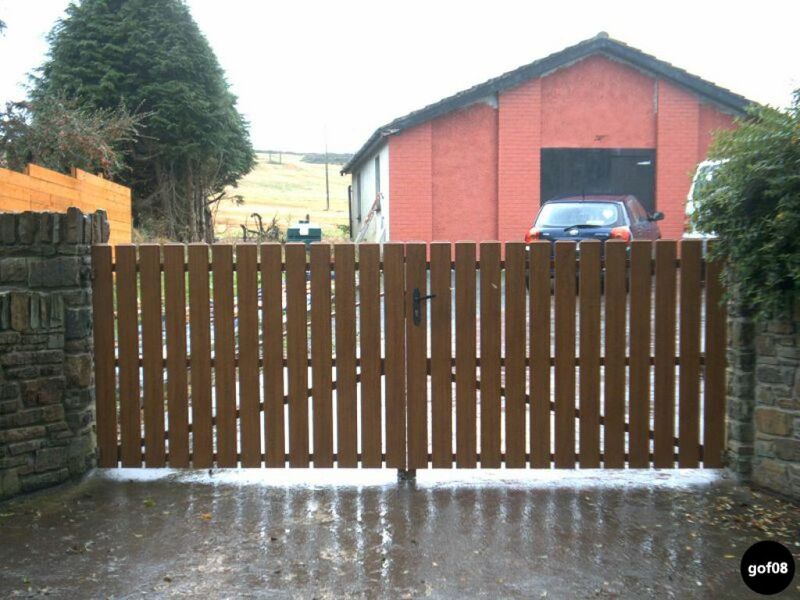 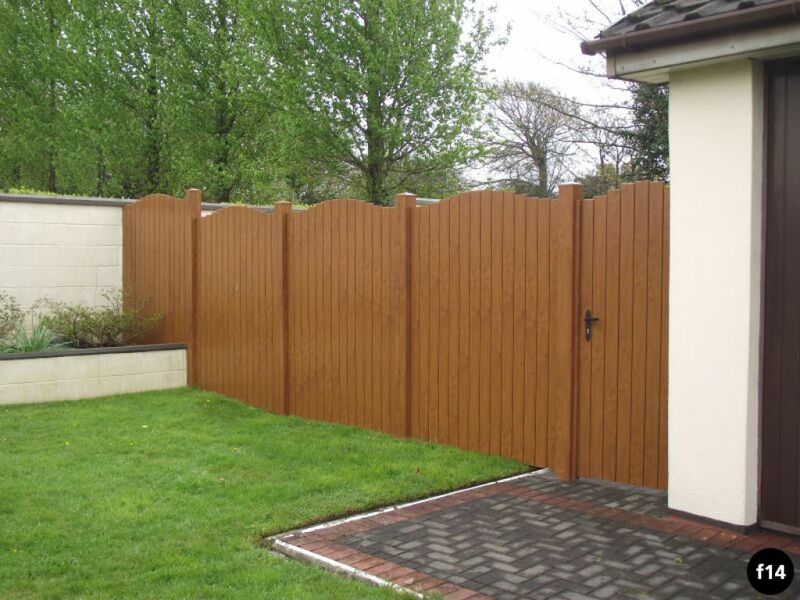 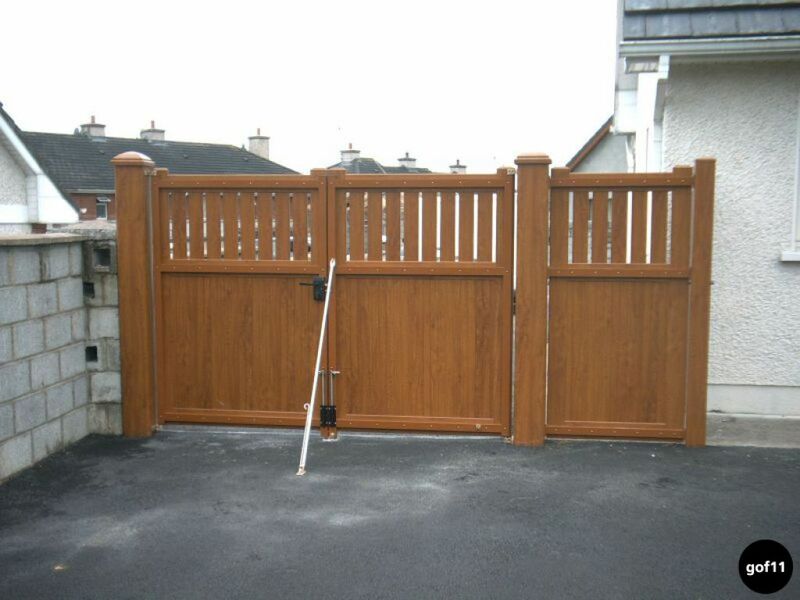 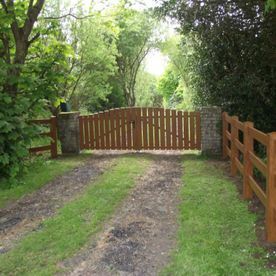 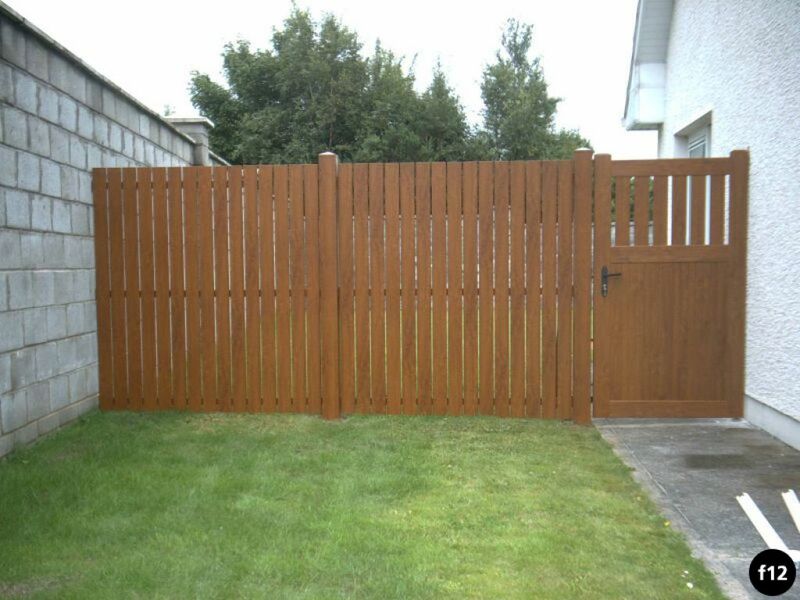 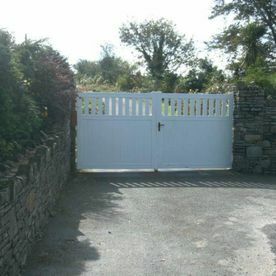 Gates can be ordered in a vast array of sizes and styles. 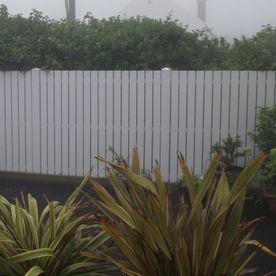 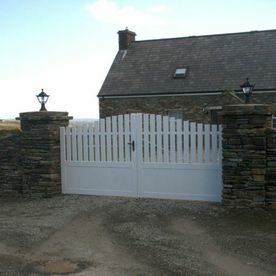 Have a look at some of our gates below for inspiration! 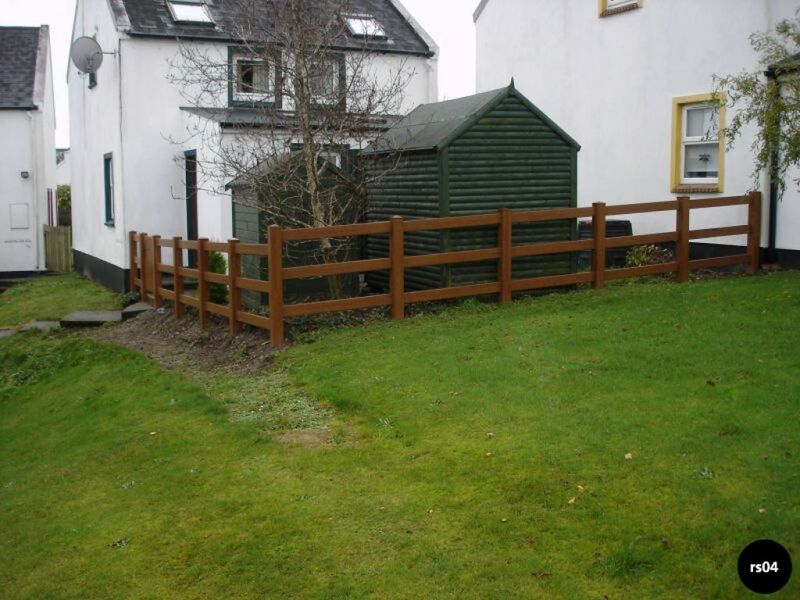 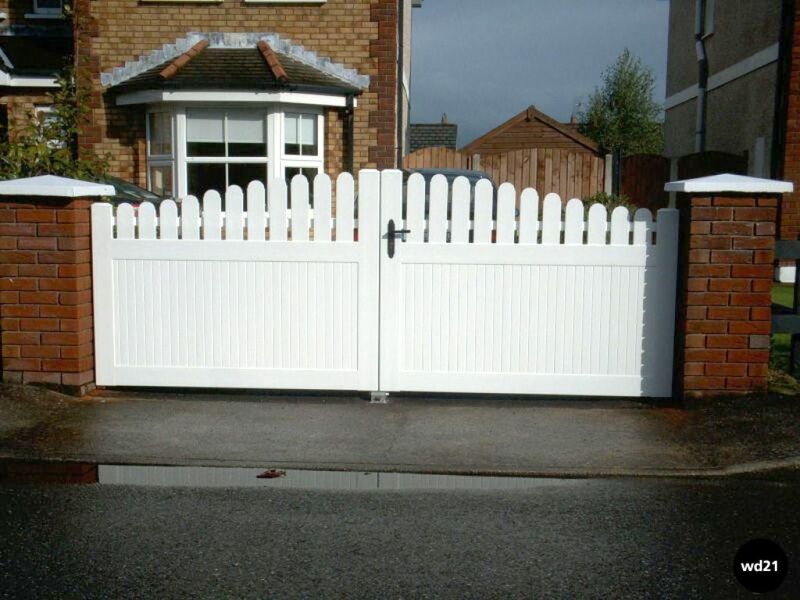 PVC gates & railings provide robust protection without the need for regular maintenance and repair works. 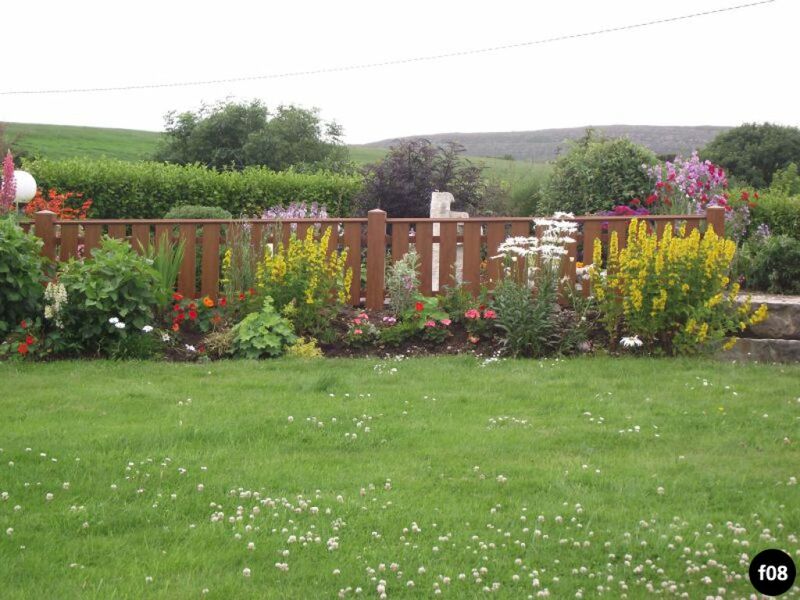 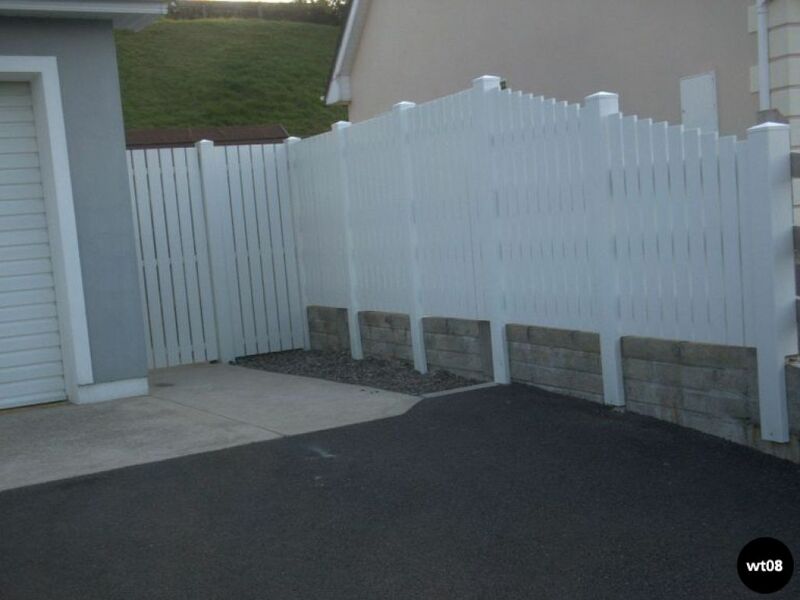 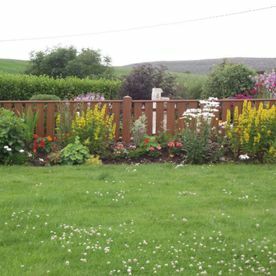 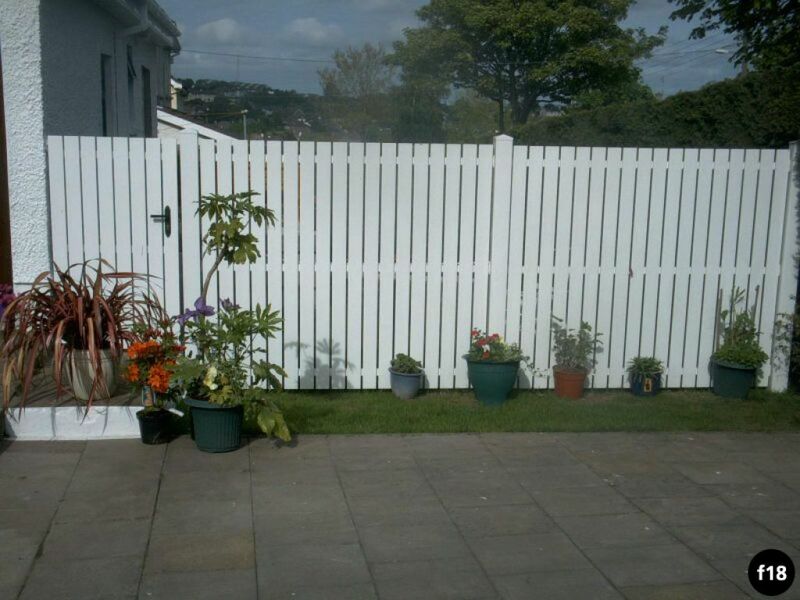 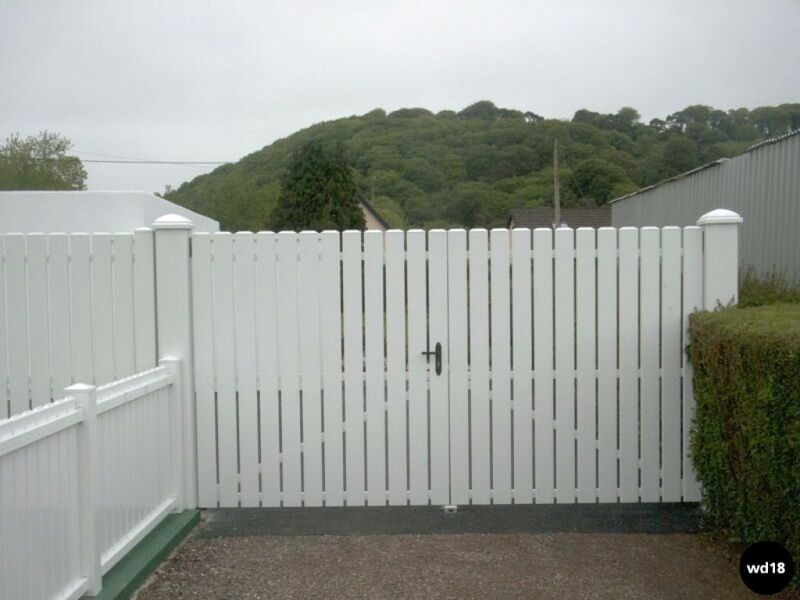 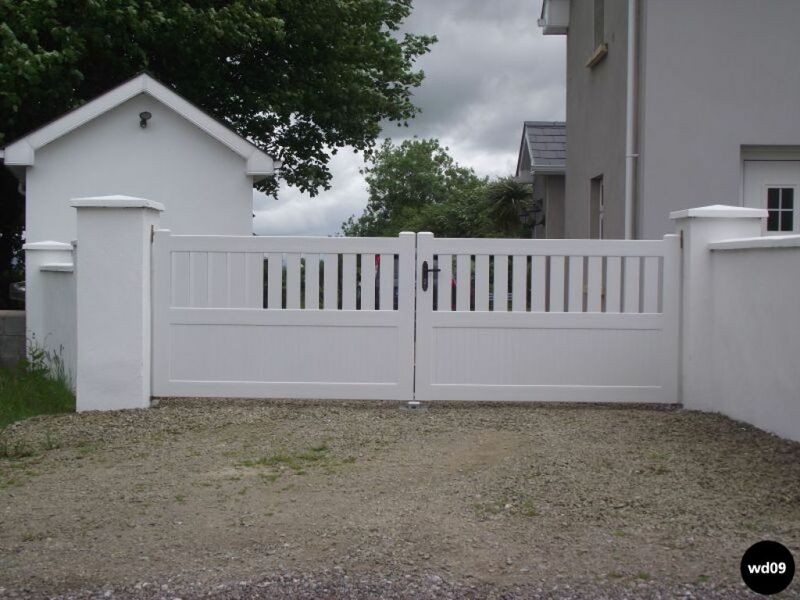 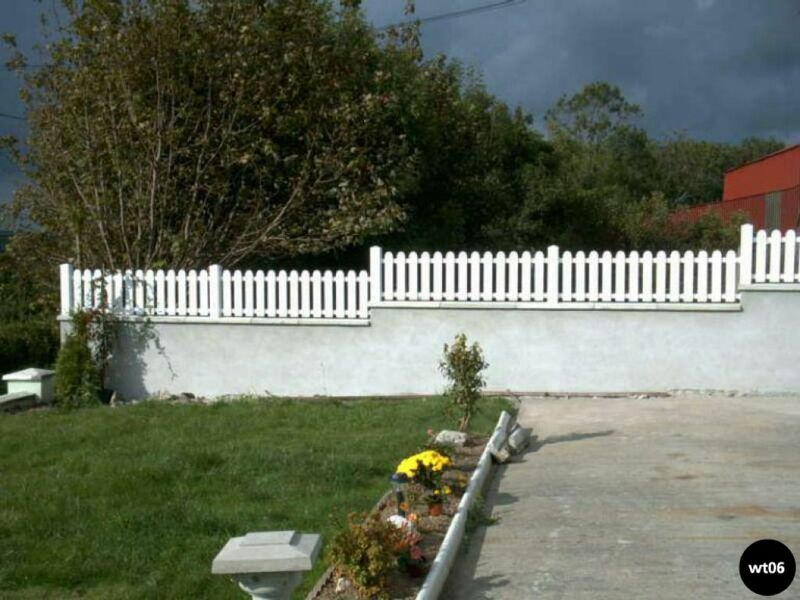 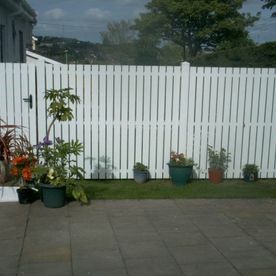 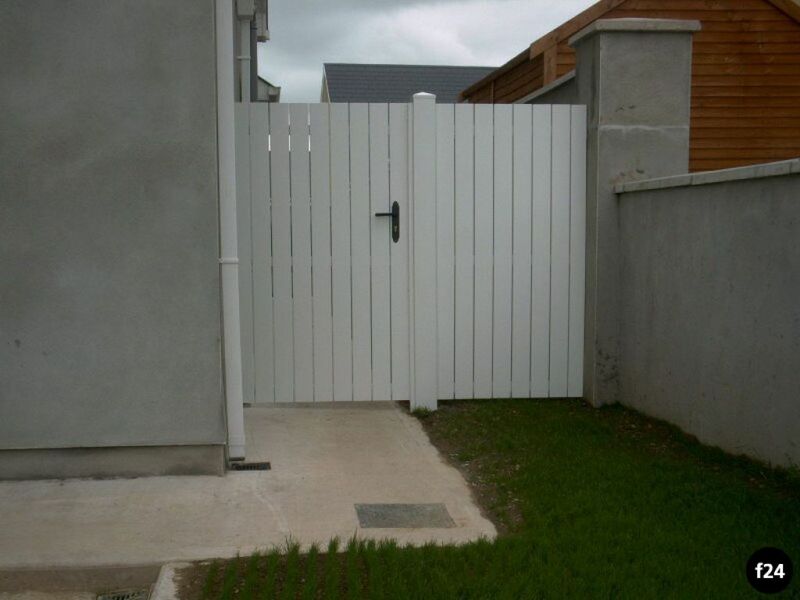 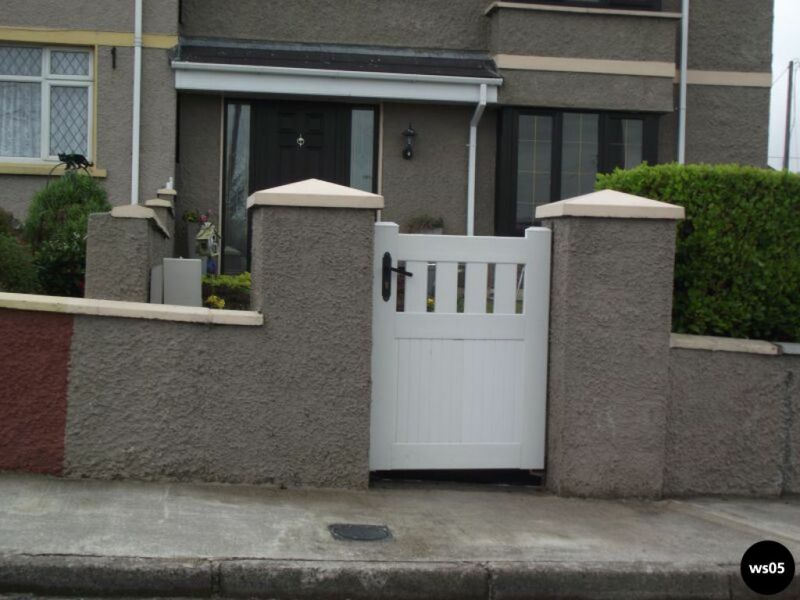 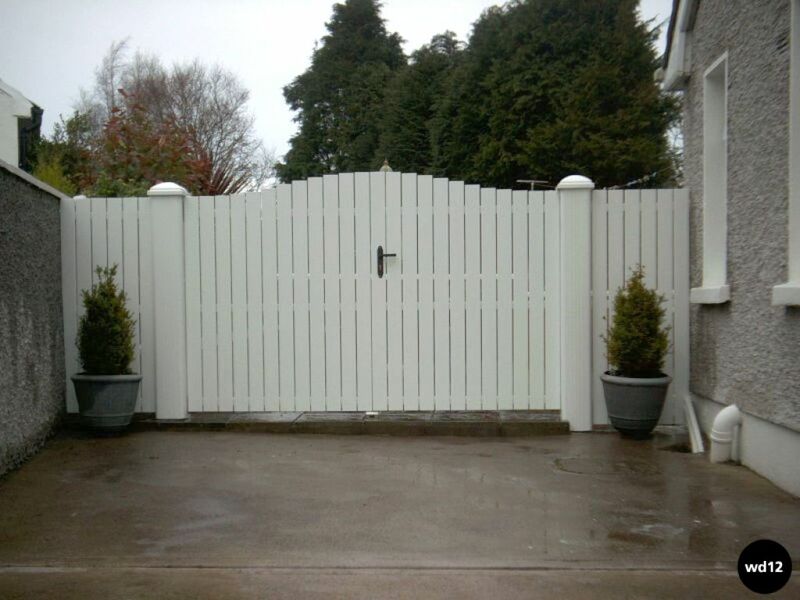 If you’re interested in having PVC gates and/or railings created call Ardtech Industries Ltd.
 White pvc gates can really brighten up a garden and add a more modern feel. 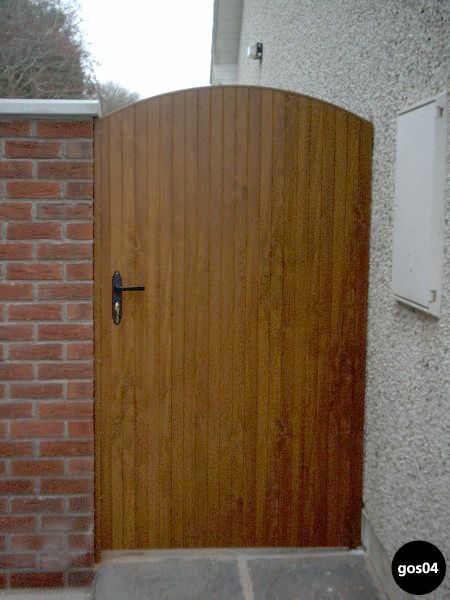 Again, we can supply & fit a range of sizes and styles, varying handles, locks etc. 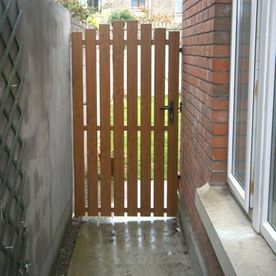 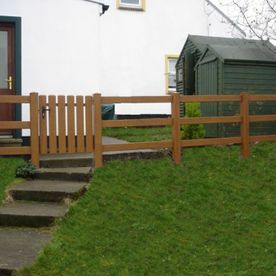 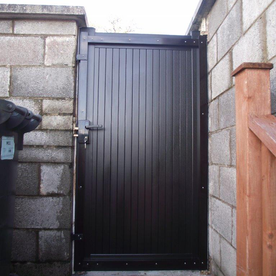 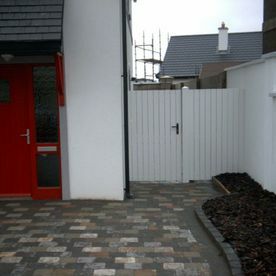 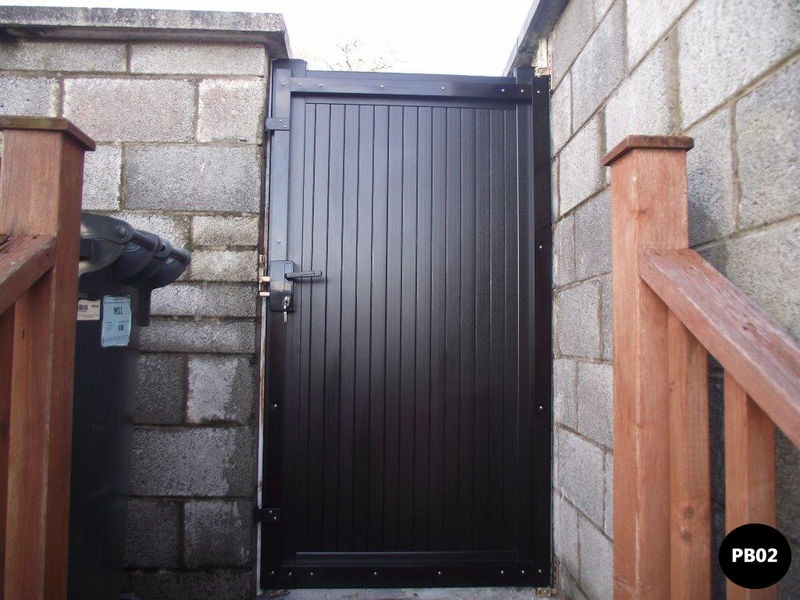 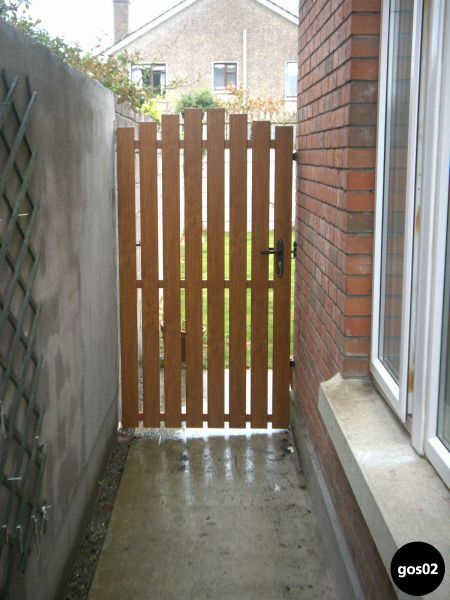 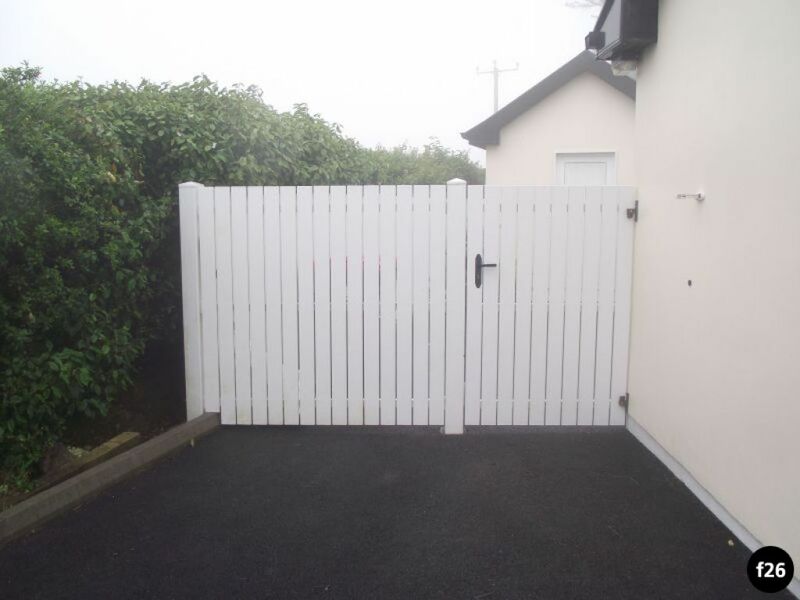 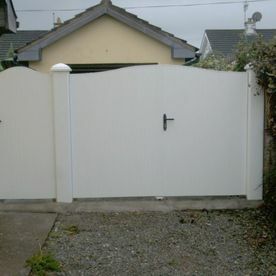 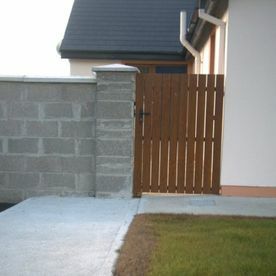 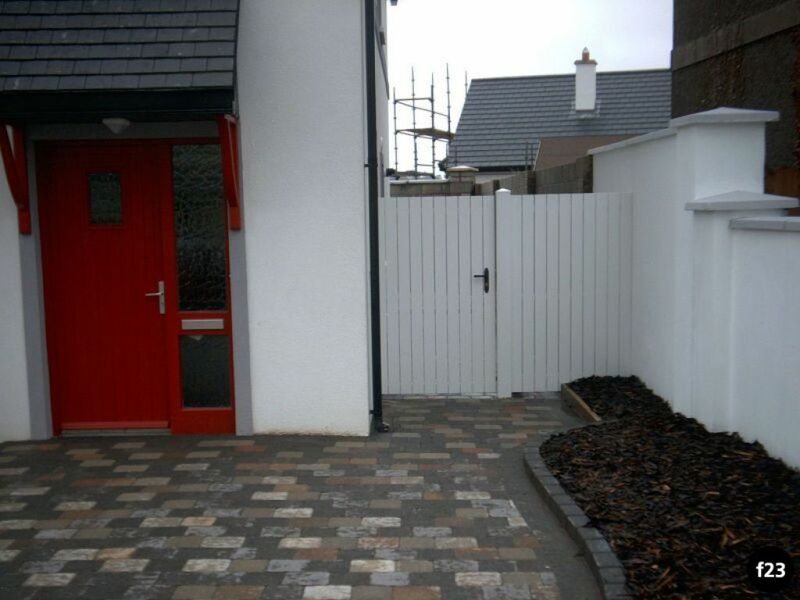 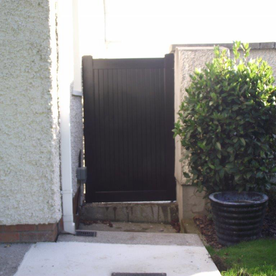 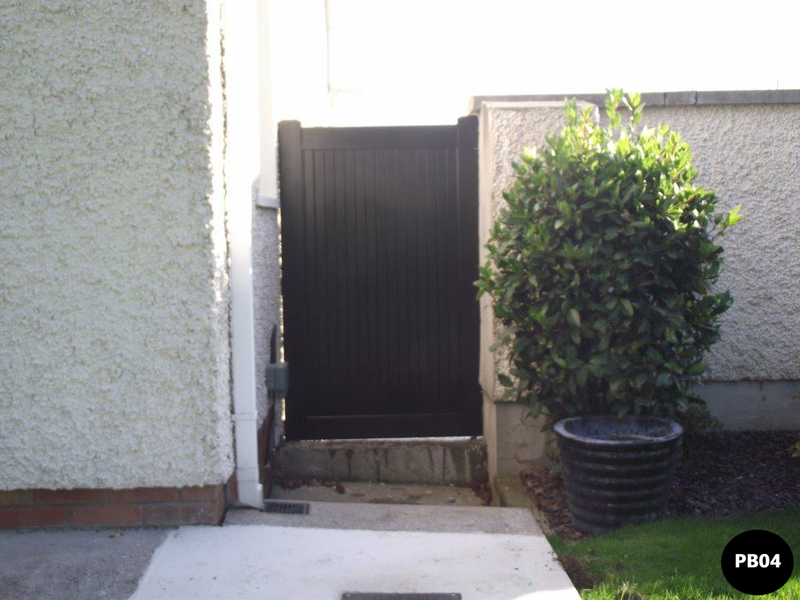 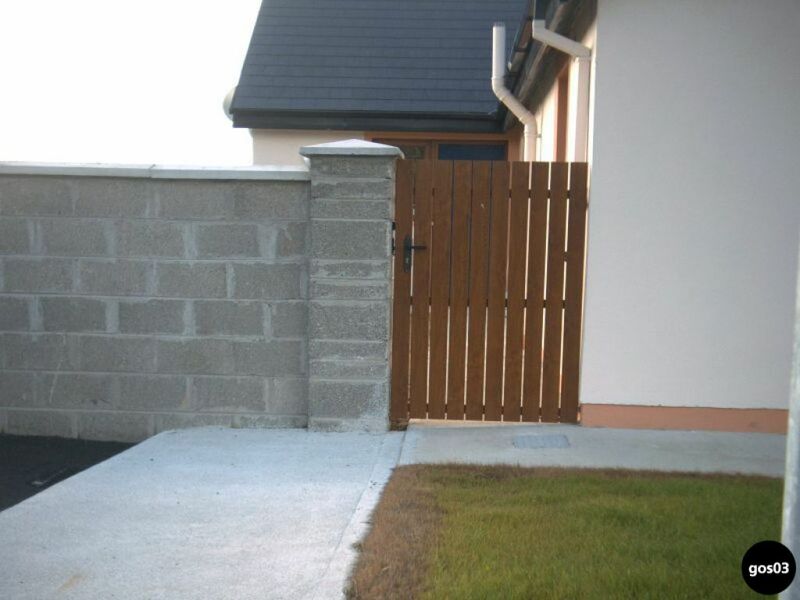 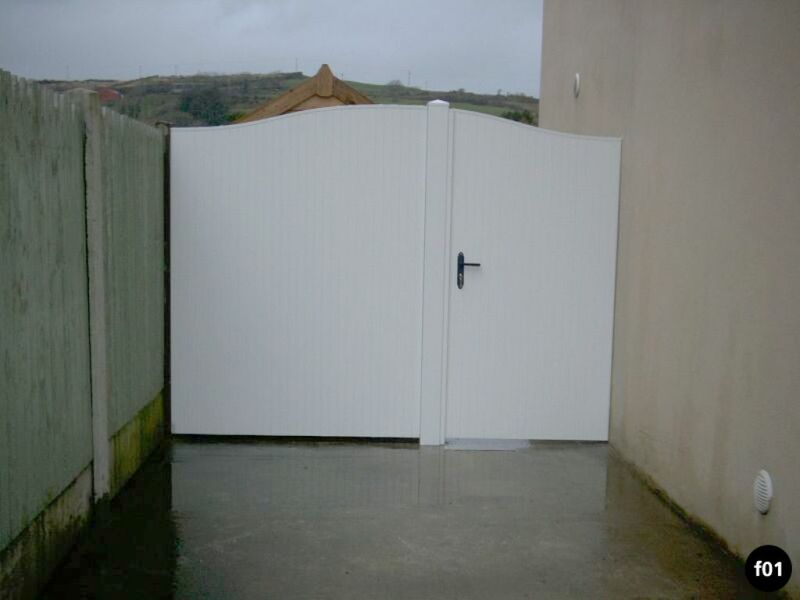 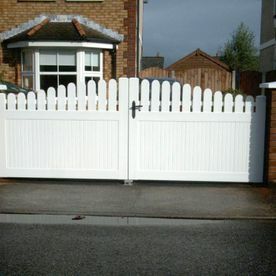  For those who need something small and simple for a more compact space, we can provide pvc side gates. 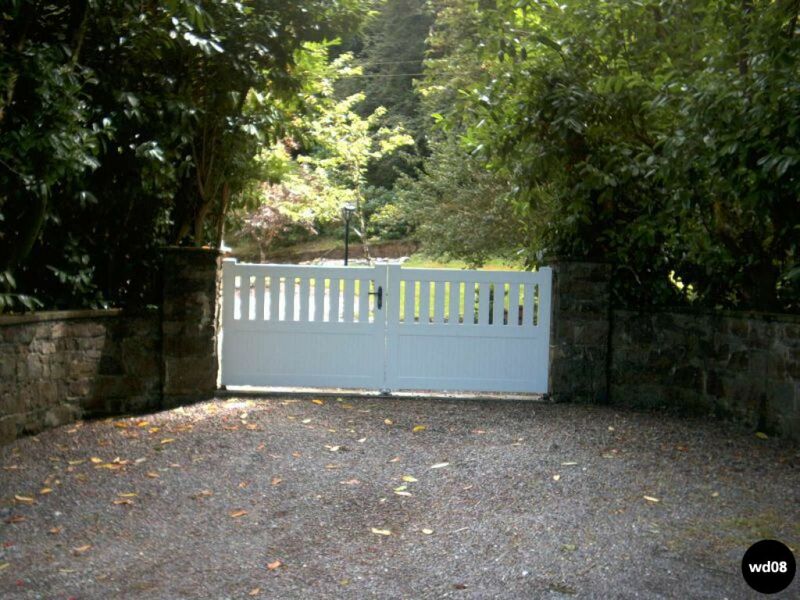 Choose something plain and simple, or you can go for a more decorative piece. 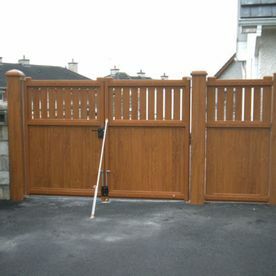 Depending on the purpose, keeping pets out, closing off private property etc. 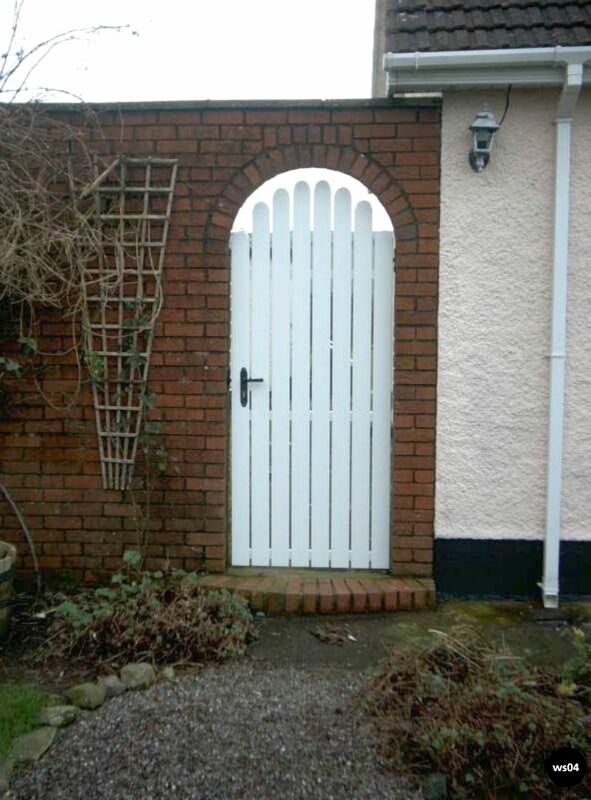 our team can help you choose the right one. 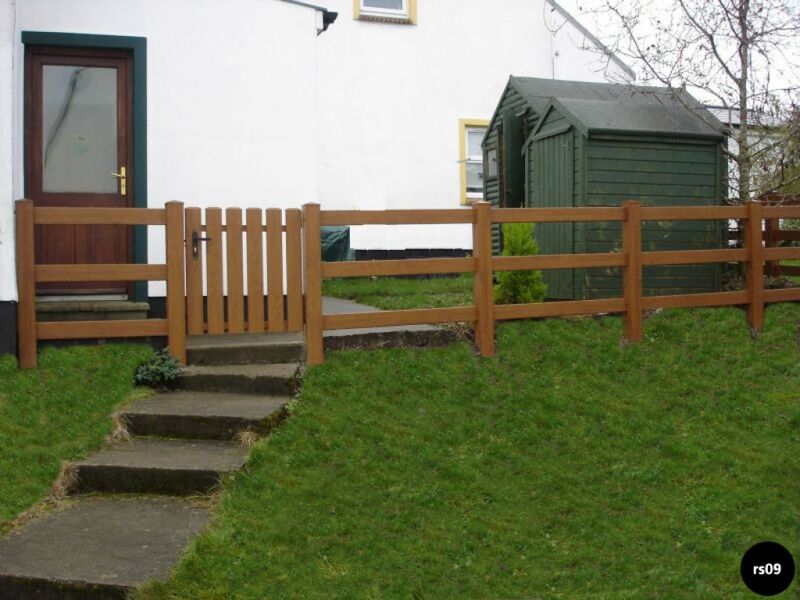 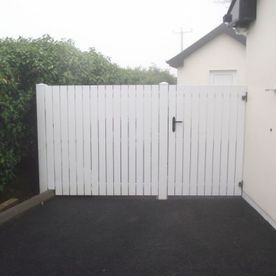 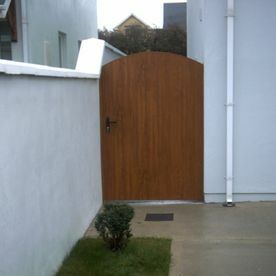 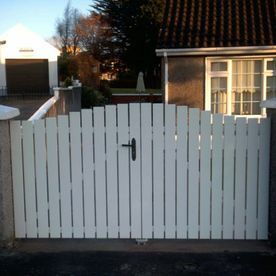 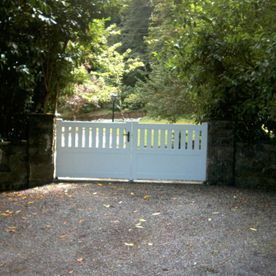 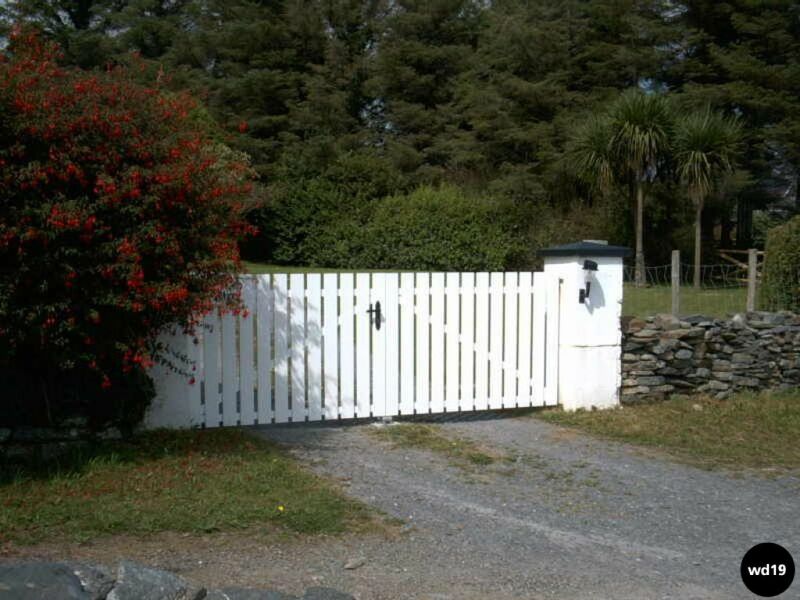 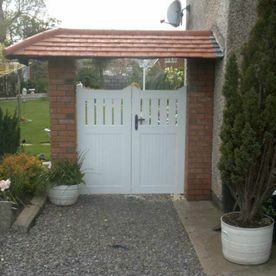 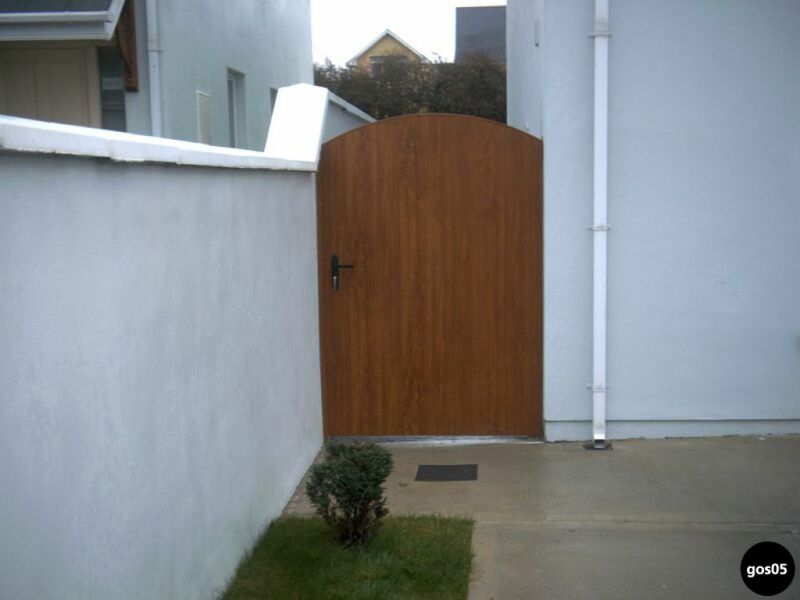 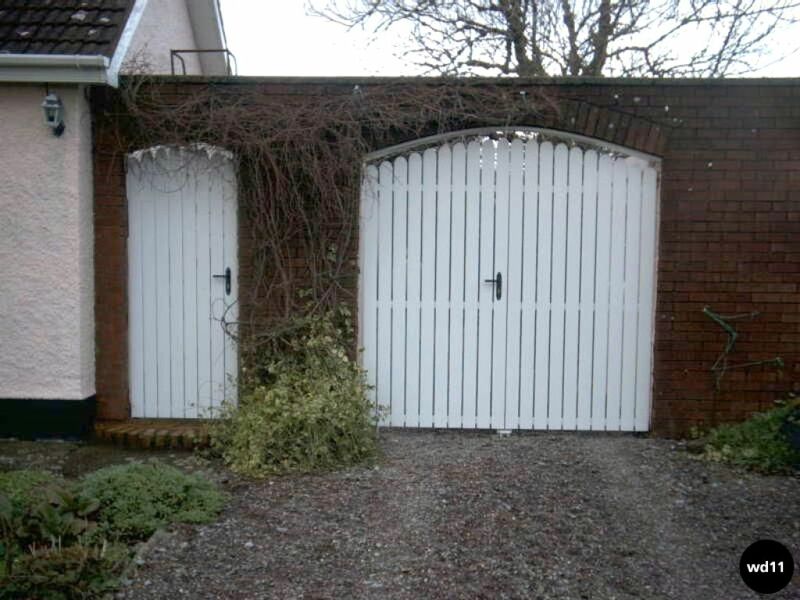 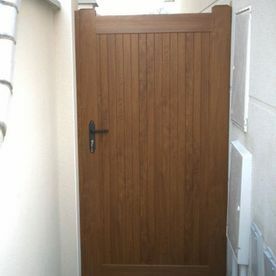 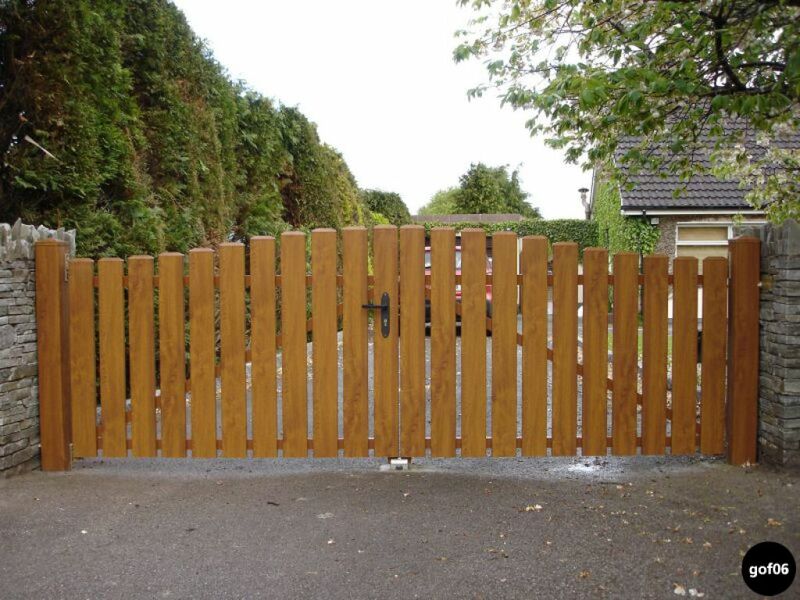 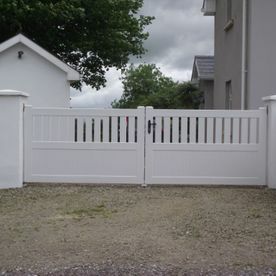 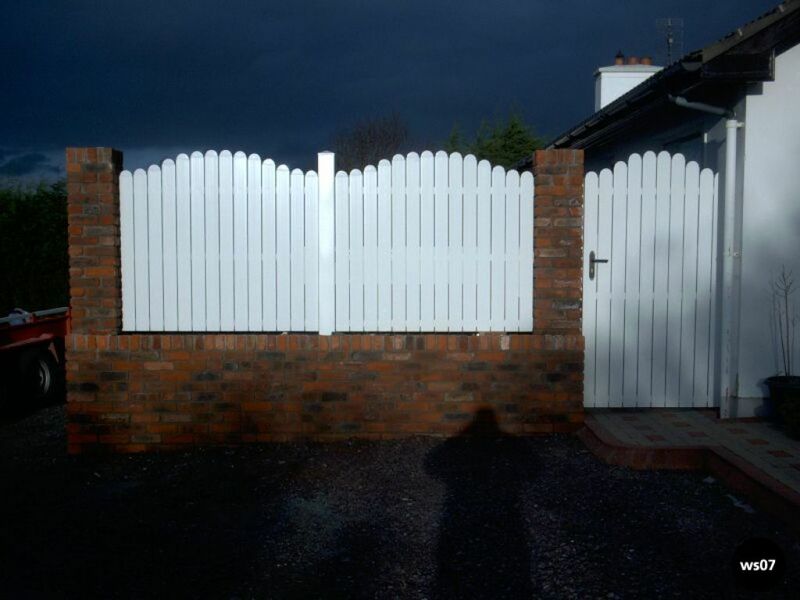 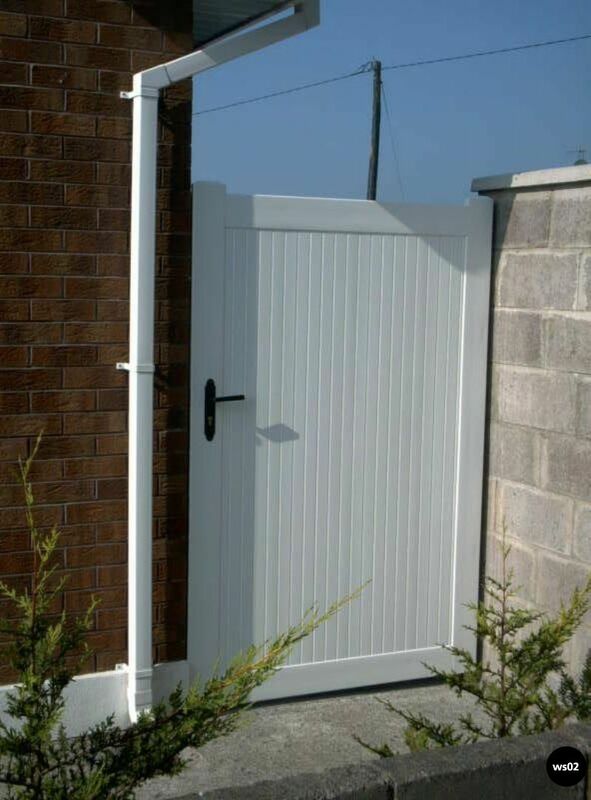 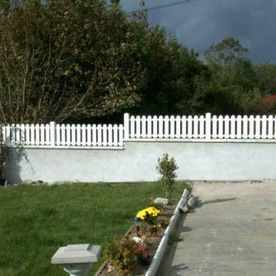 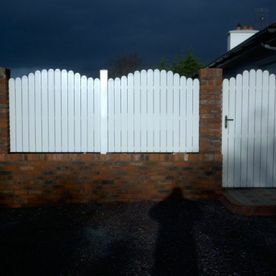 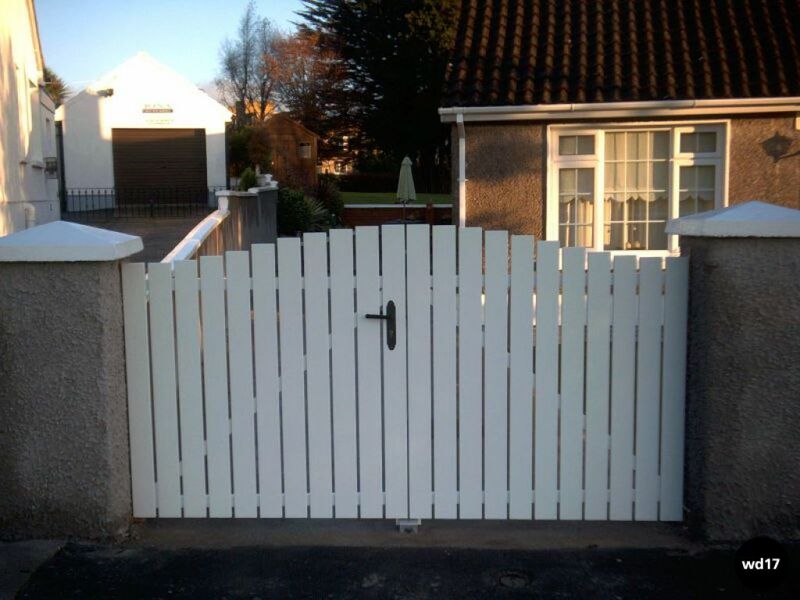 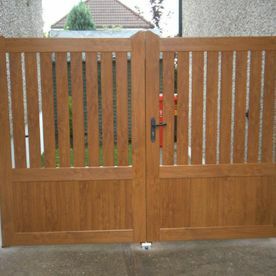 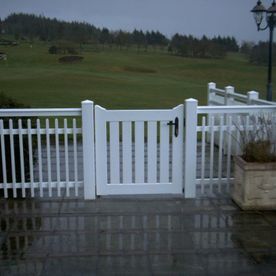 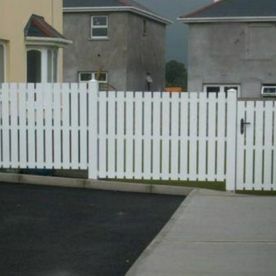 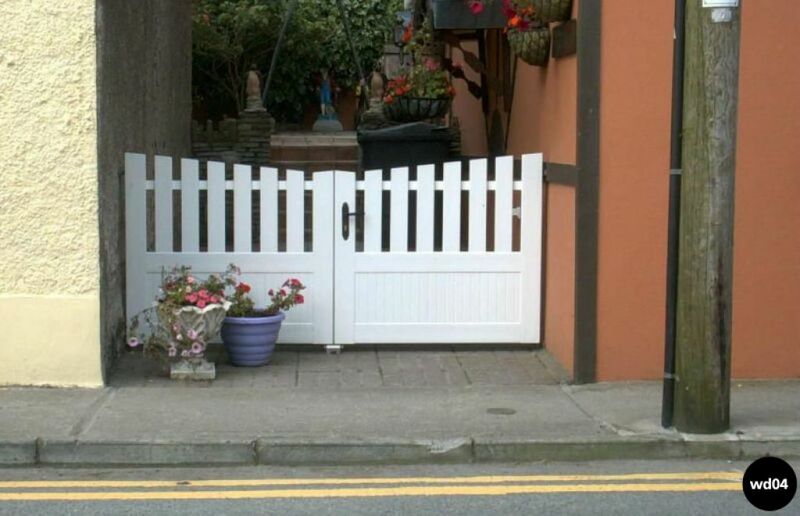 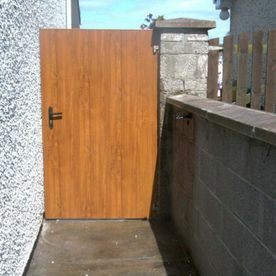 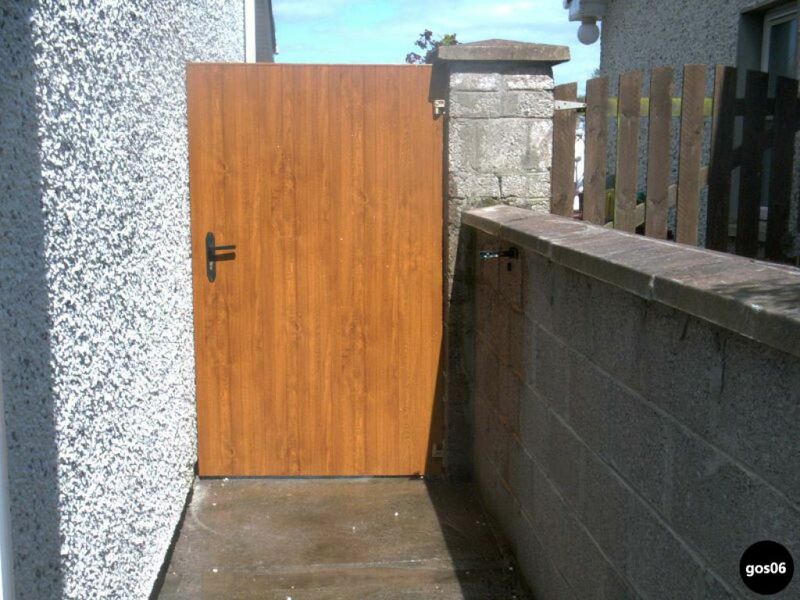 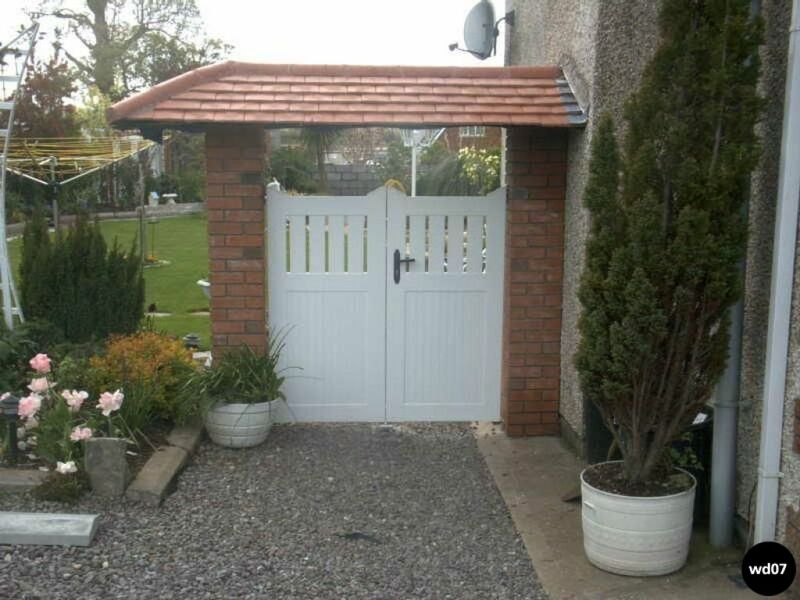 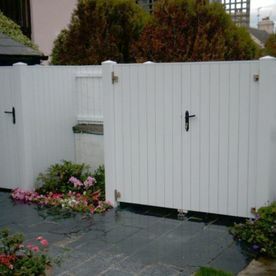 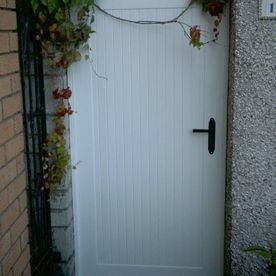 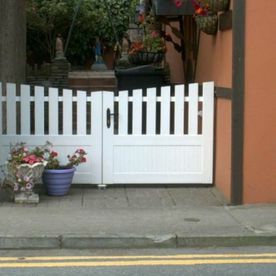 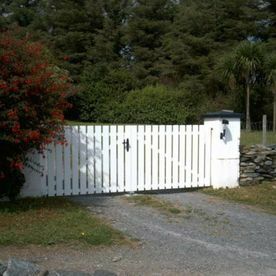 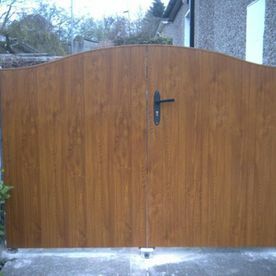 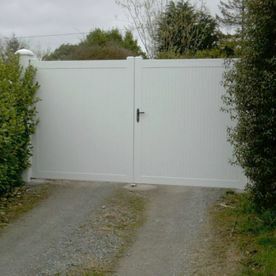 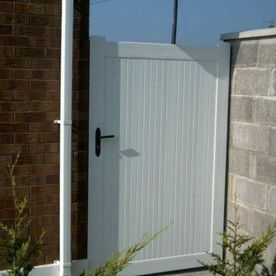 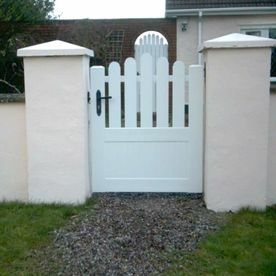 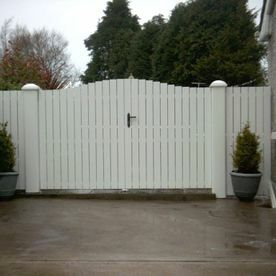 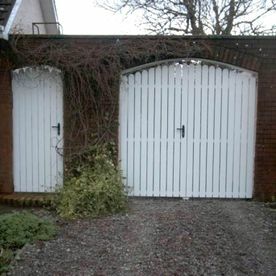 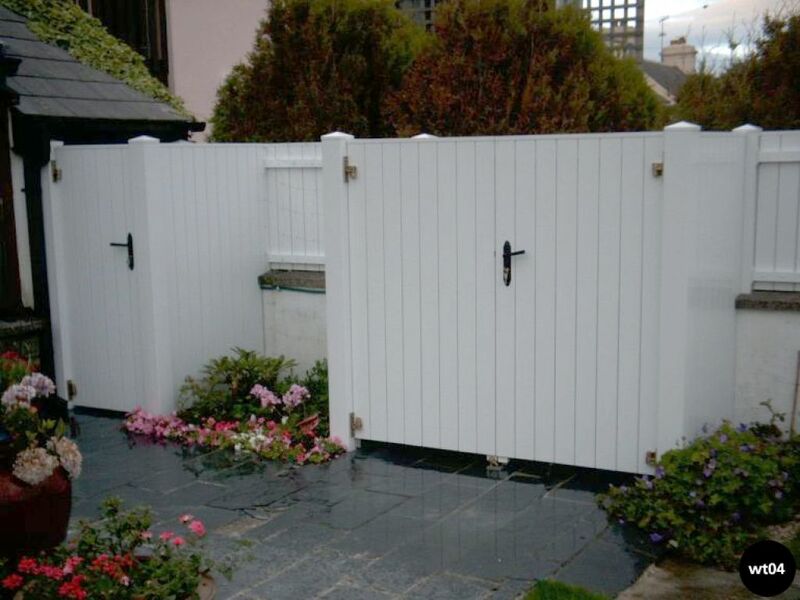 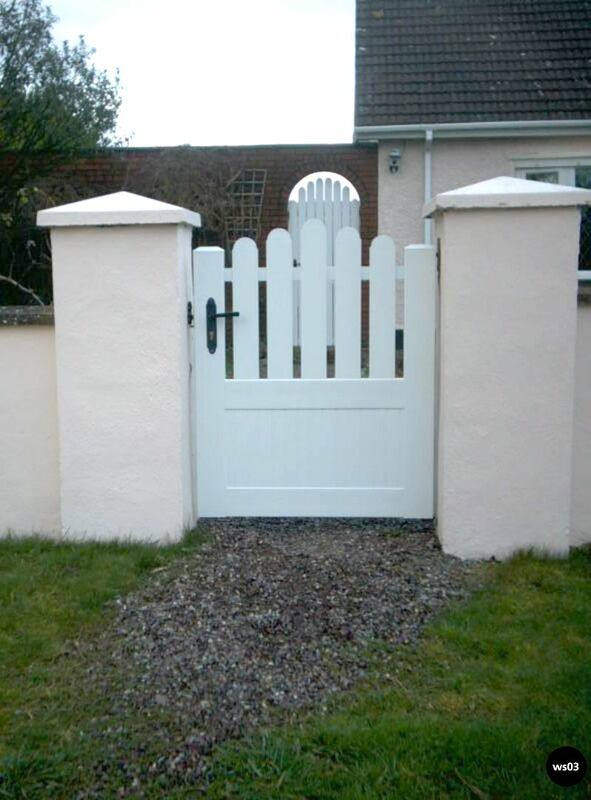 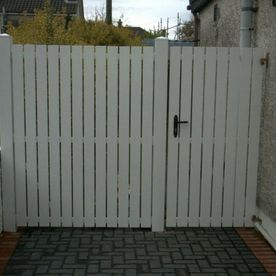 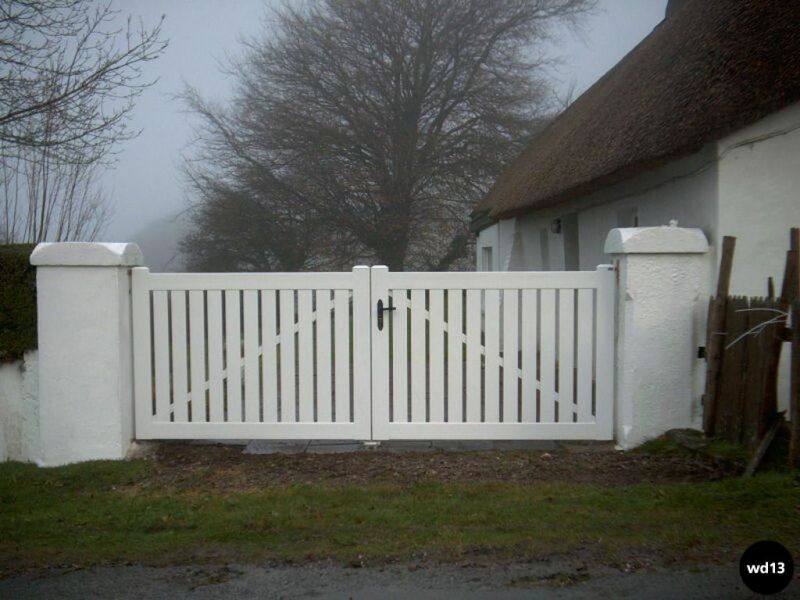 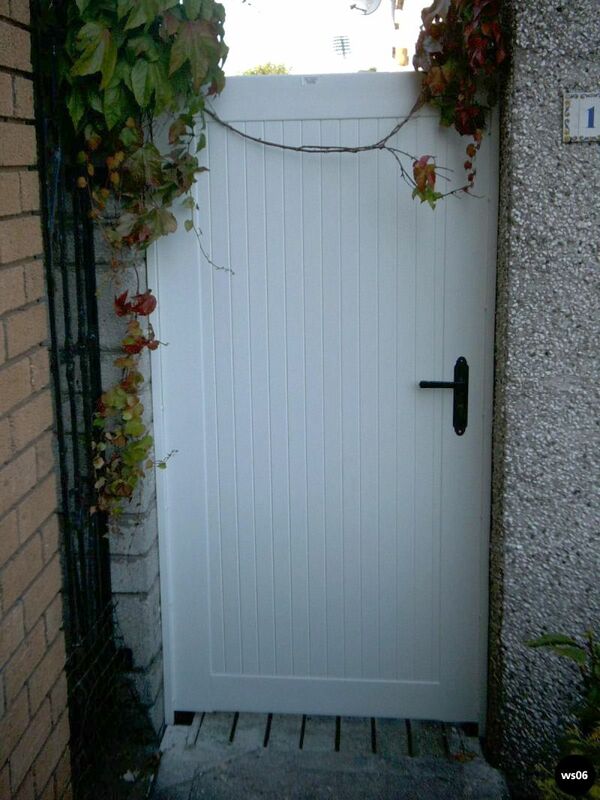 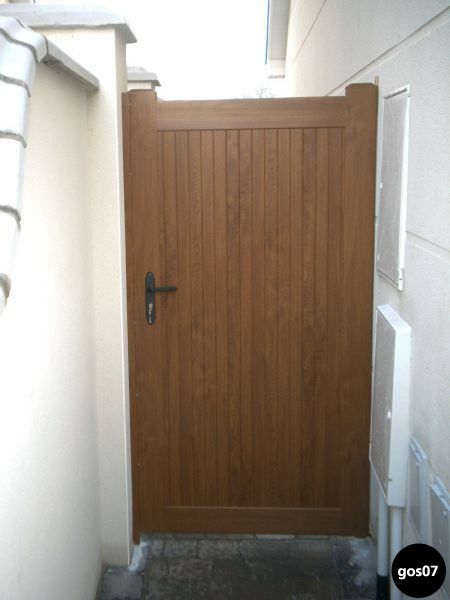 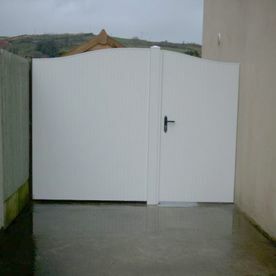 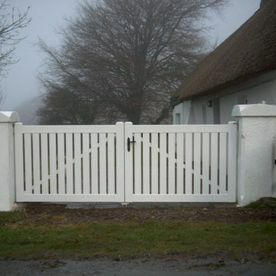 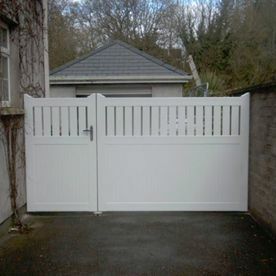 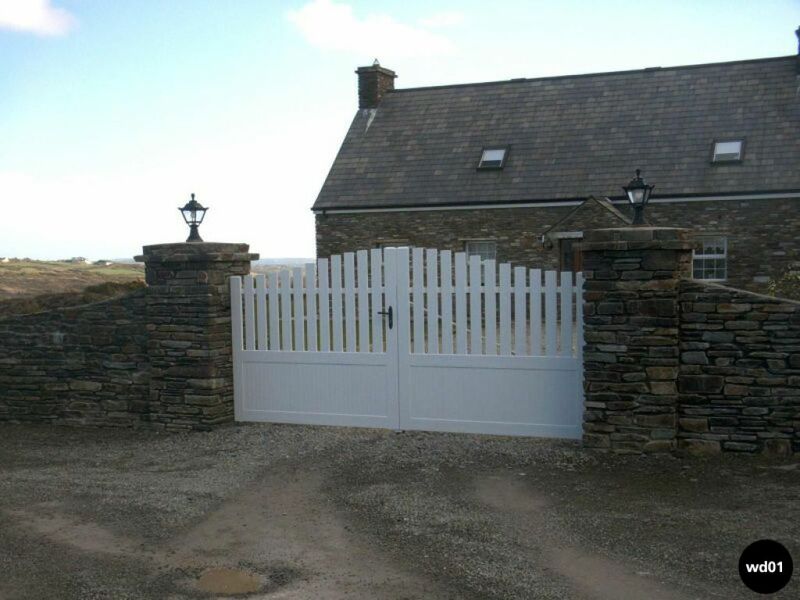 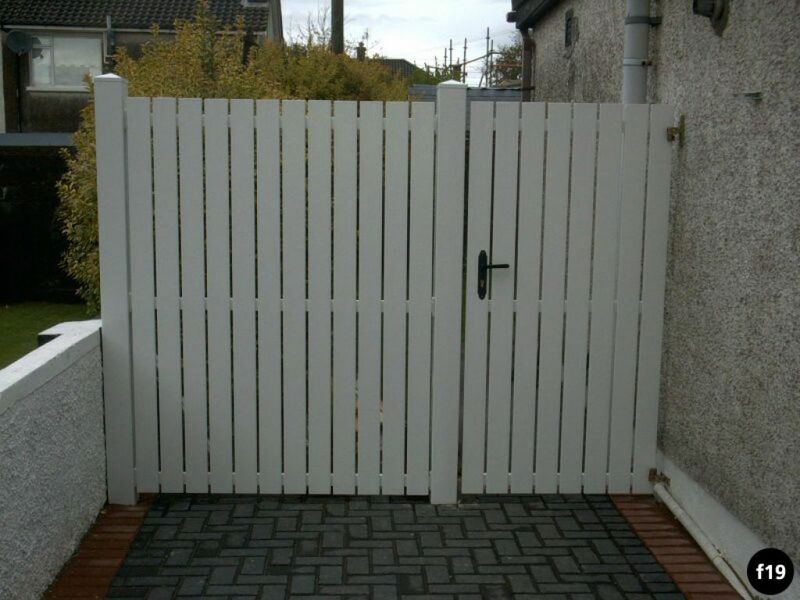  Just like our oak finish pvc side gates, we also offer these in white. 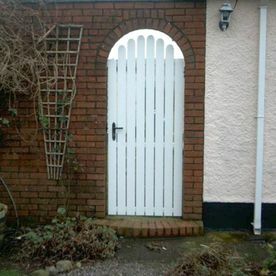 Often this can fit in better with the surroundings. 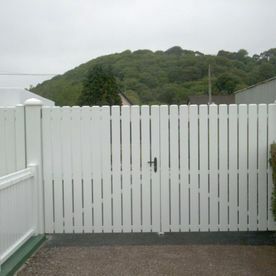 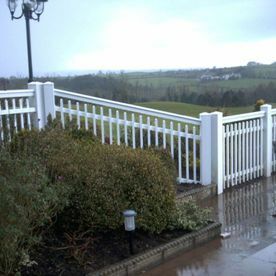 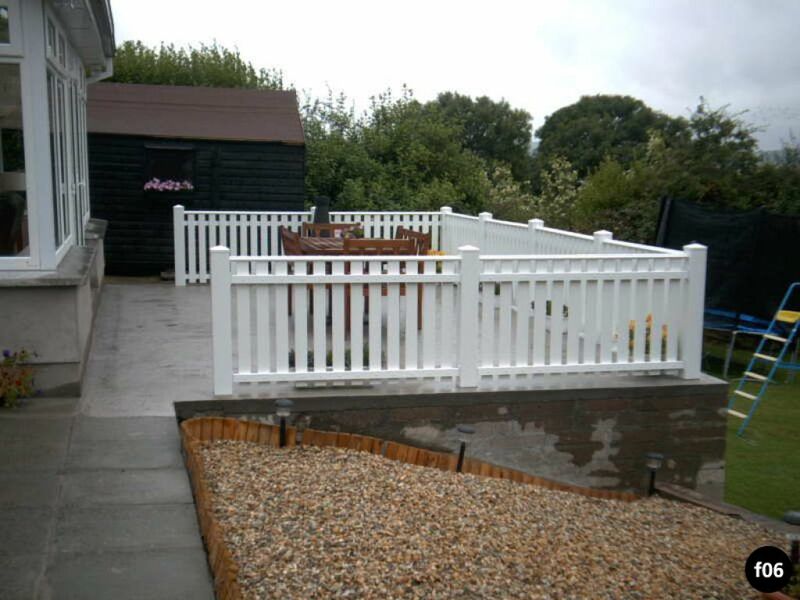 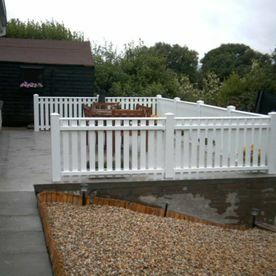 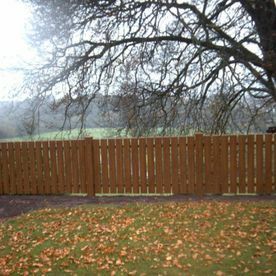 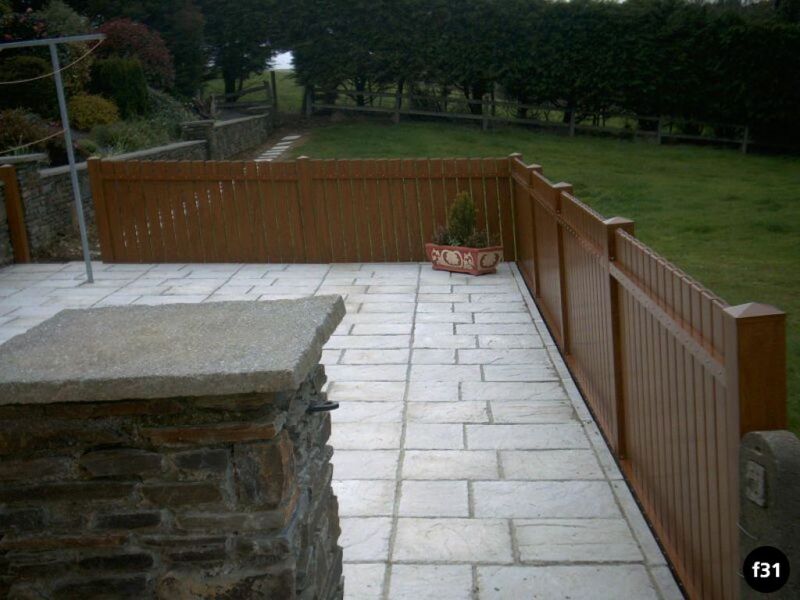 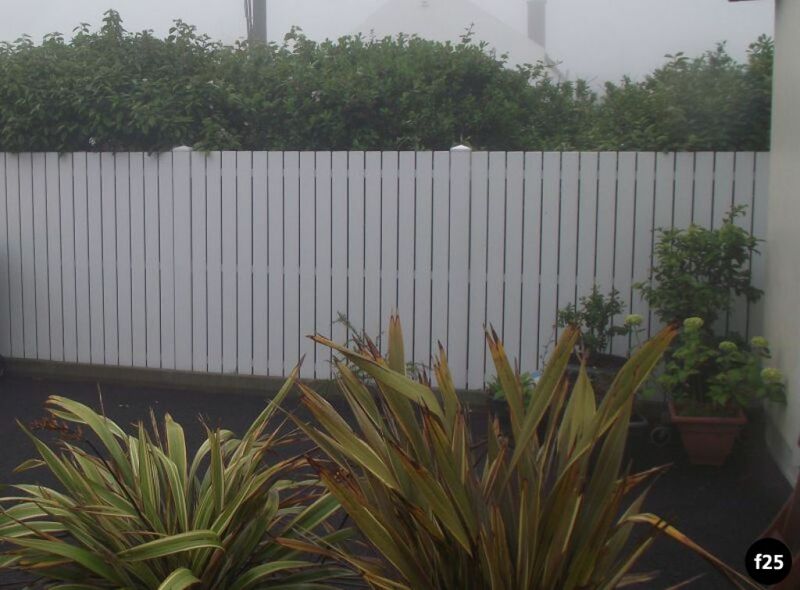 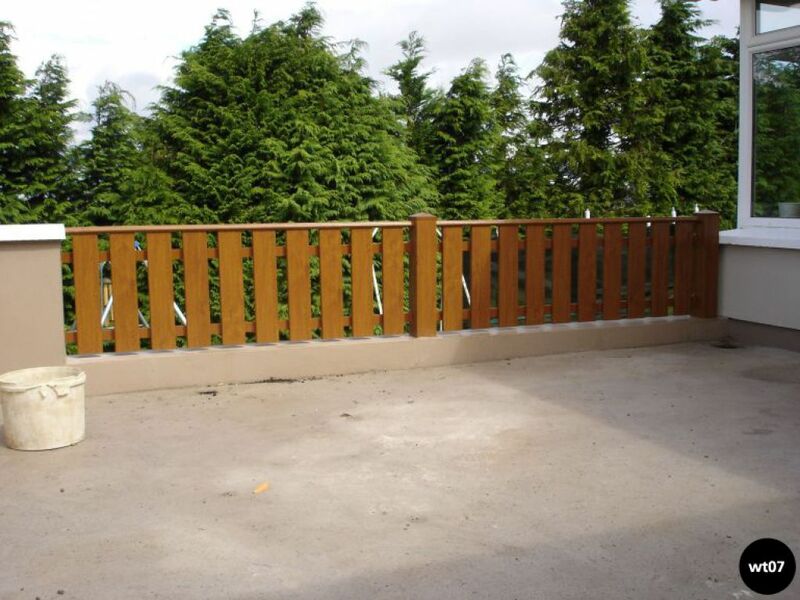 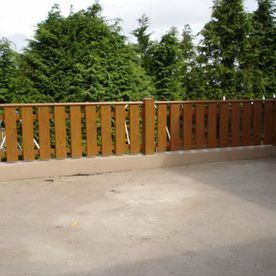 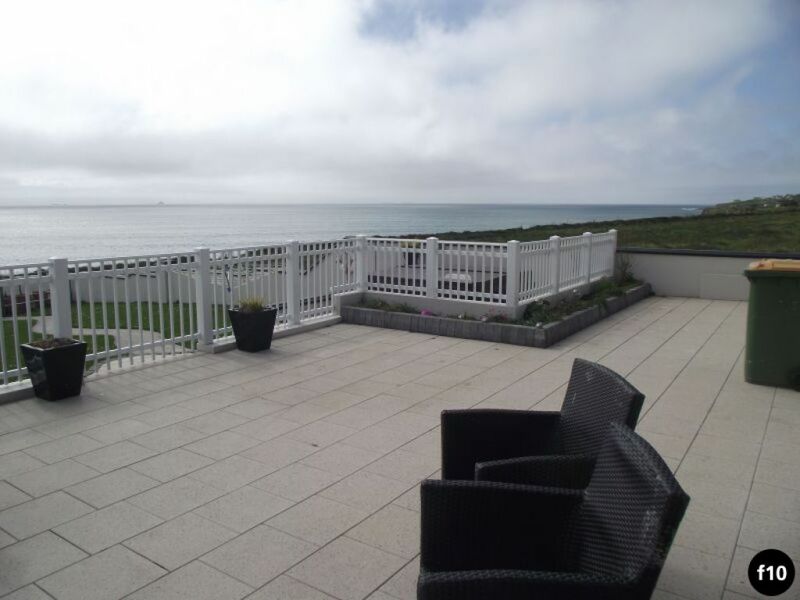 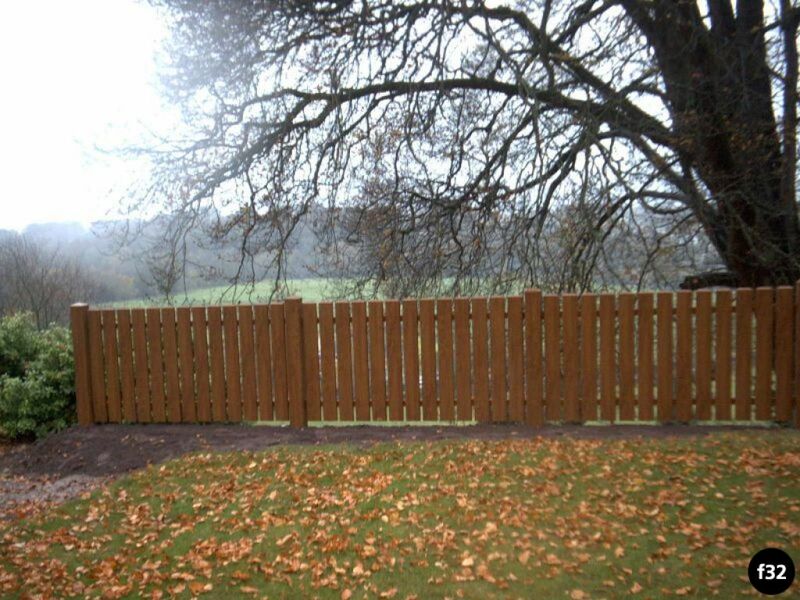 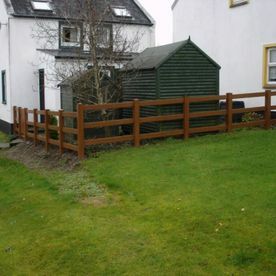 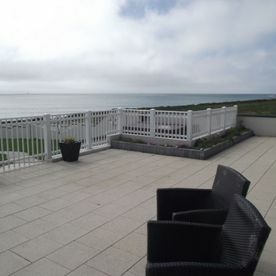 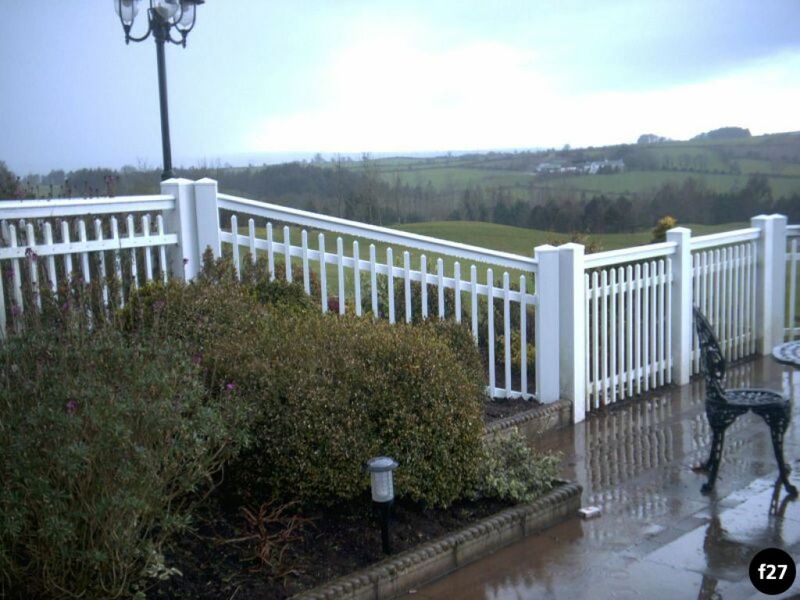 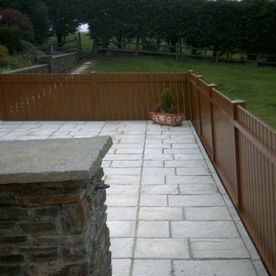  Whether it is for a garden or balcony, we can supply the very best pvc fencing. 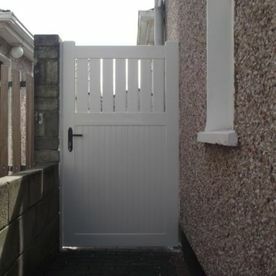 Choose from white / wooden finishes. 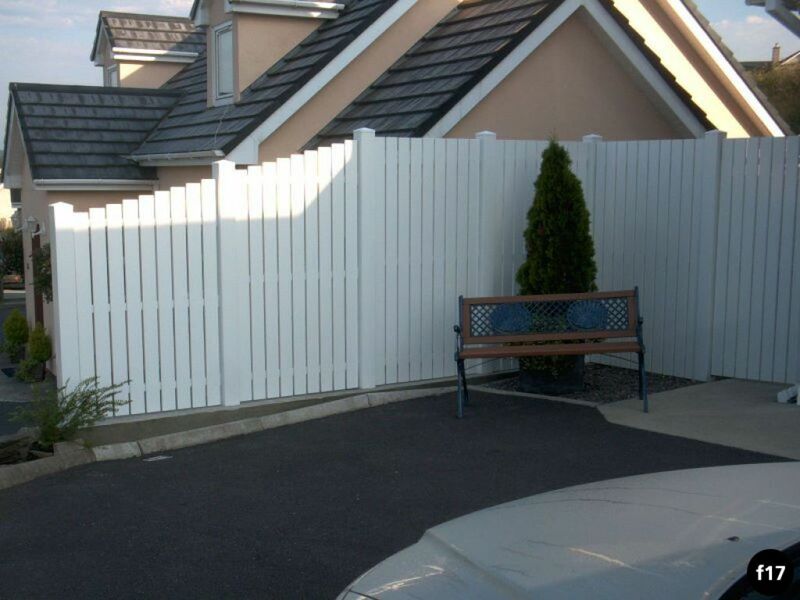 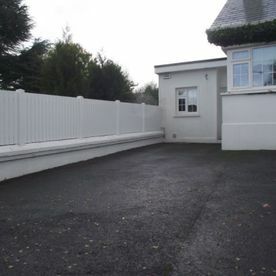 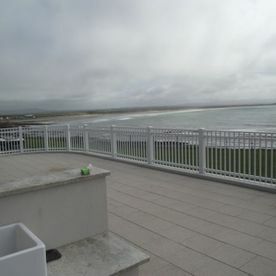 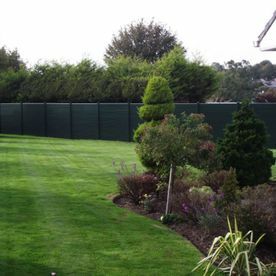 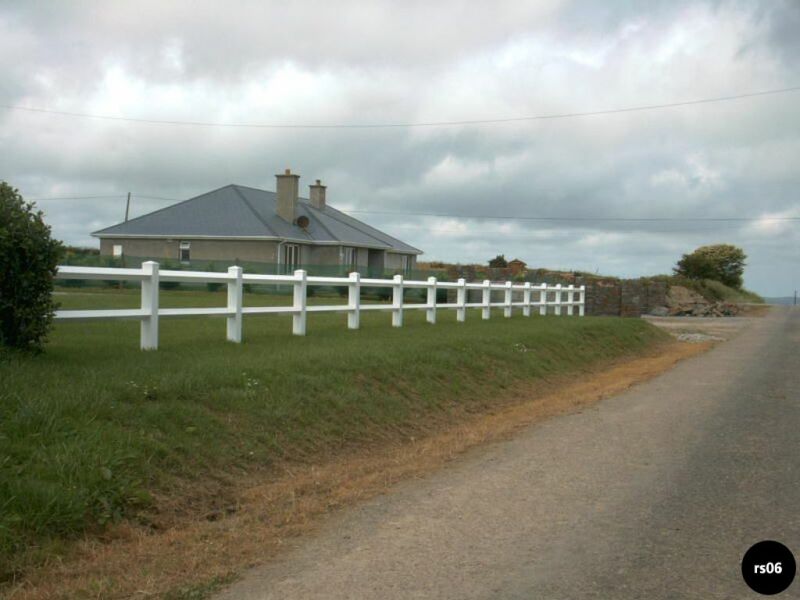 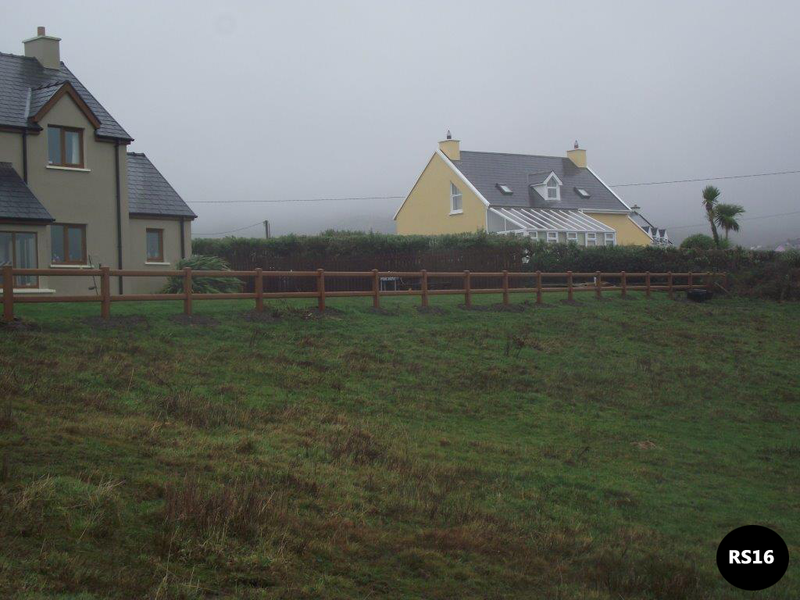 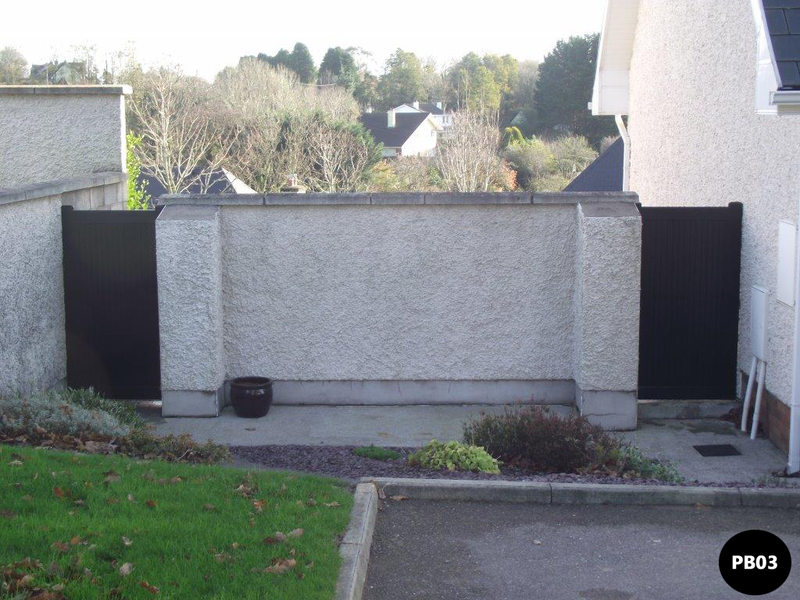 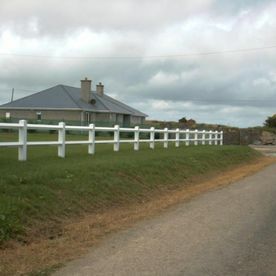 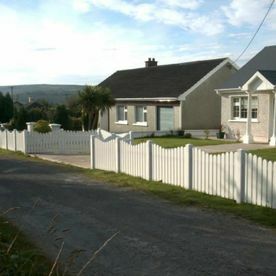 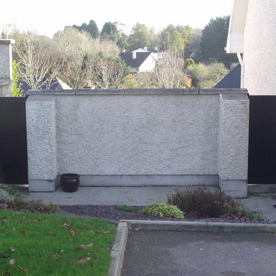 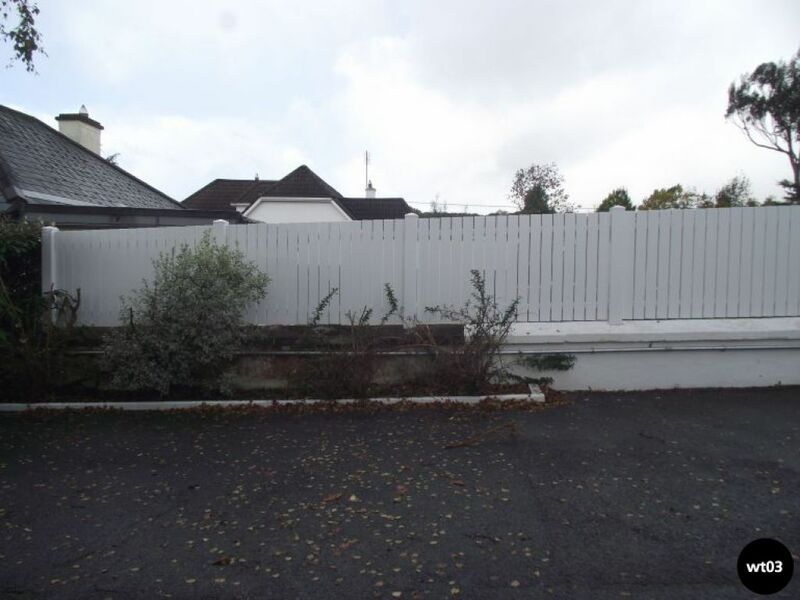 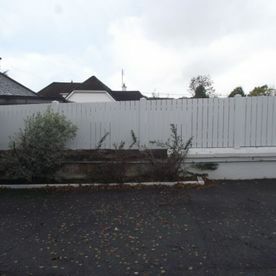 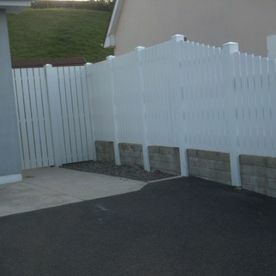 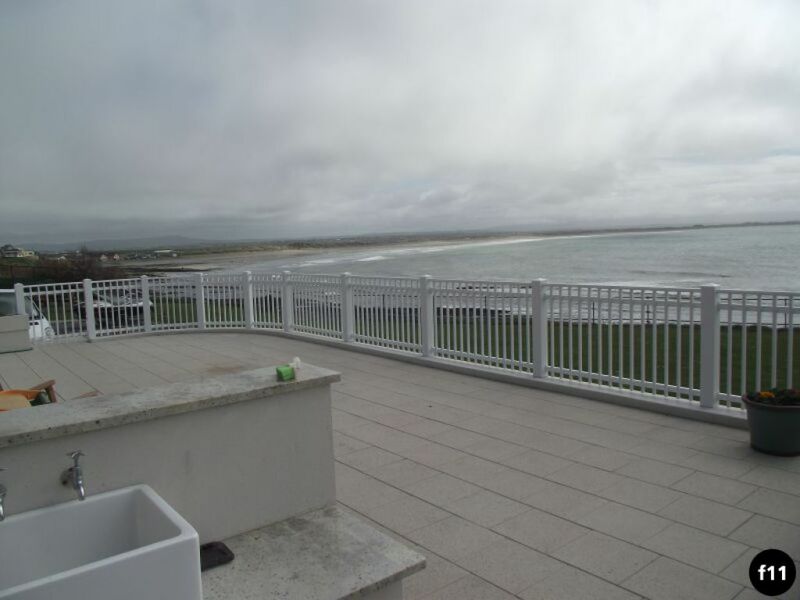 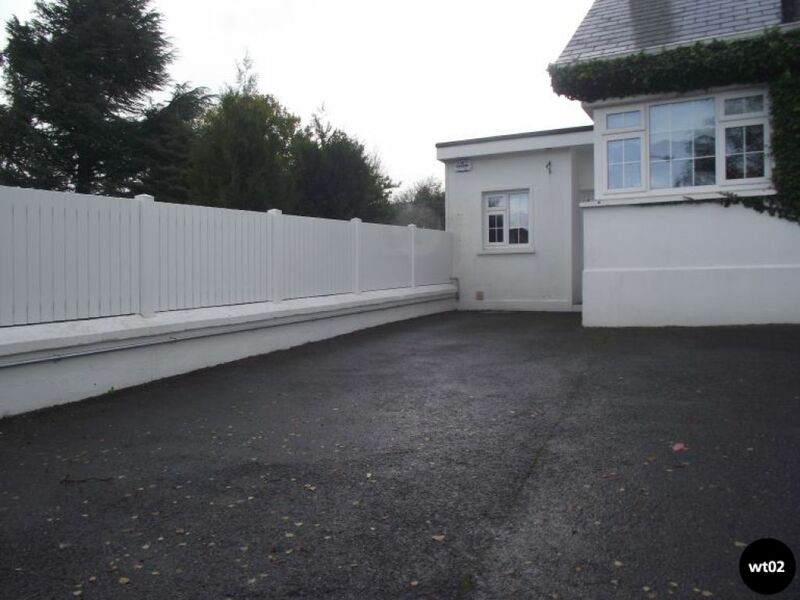 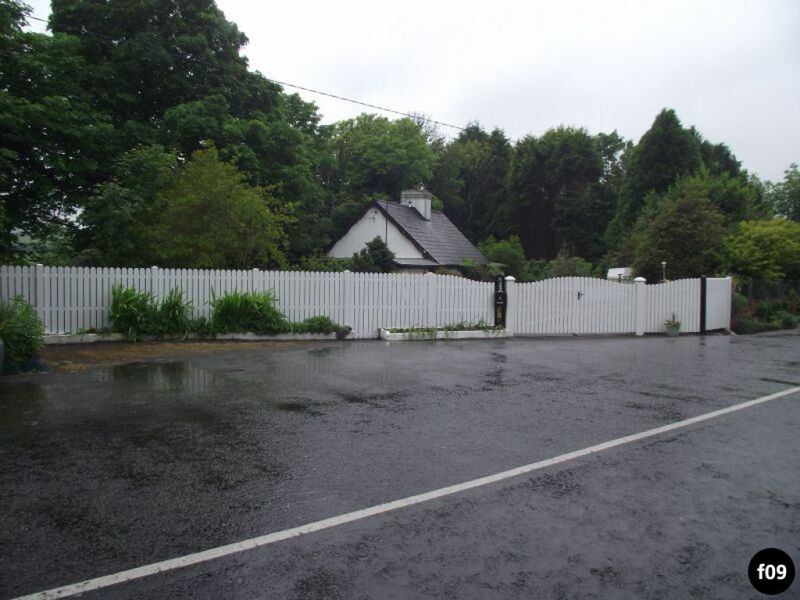  Some people opt for wall top fencing to improve the aesthetics of their property – others choose to add it for more height. 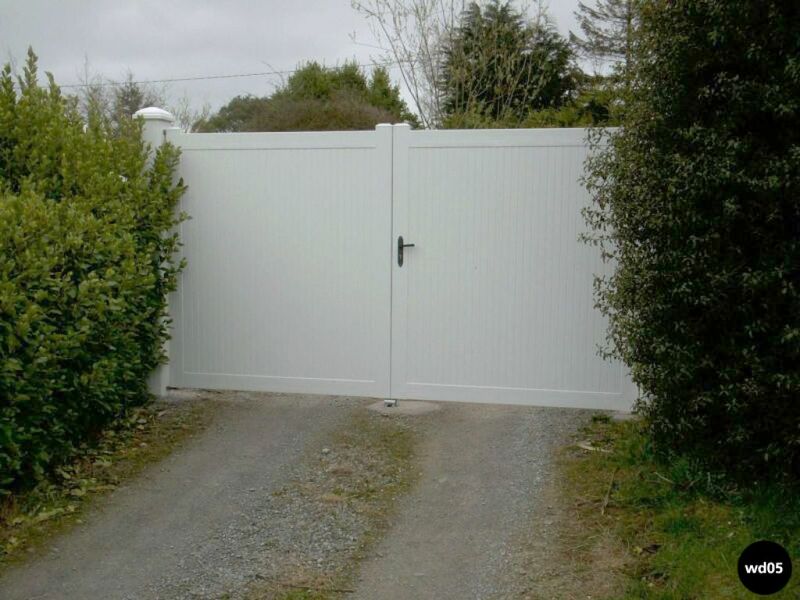 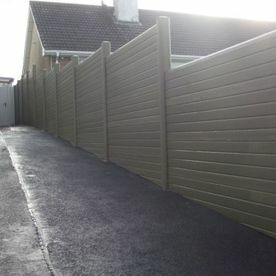 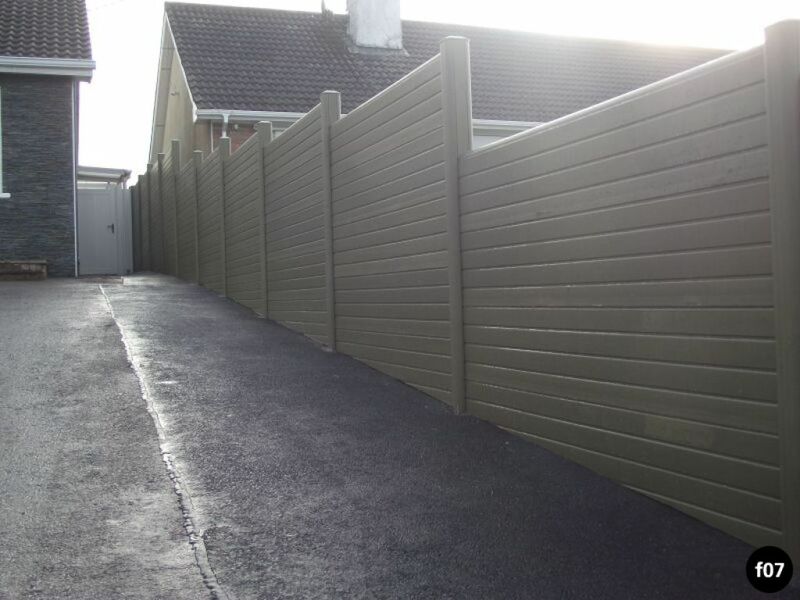 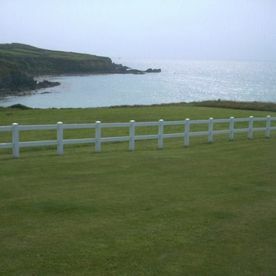 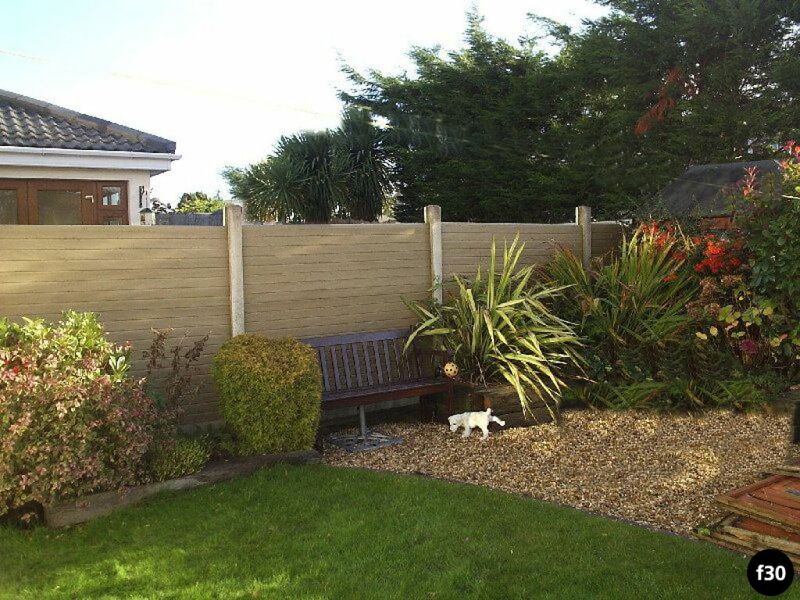 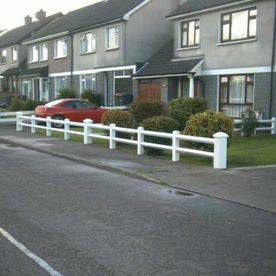 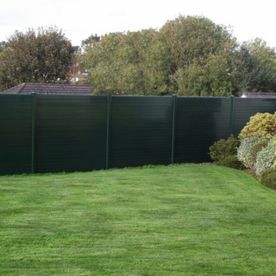 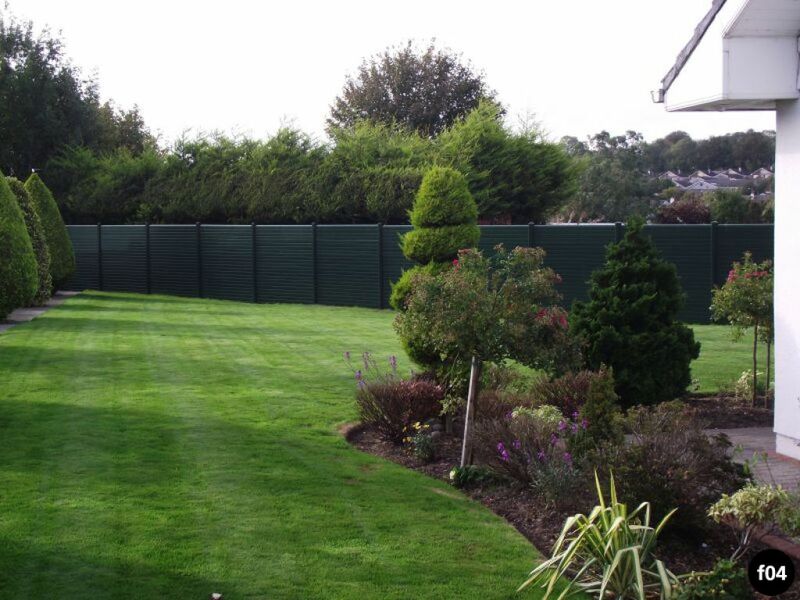 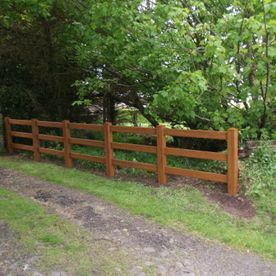 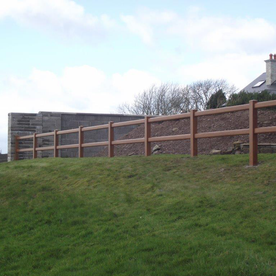 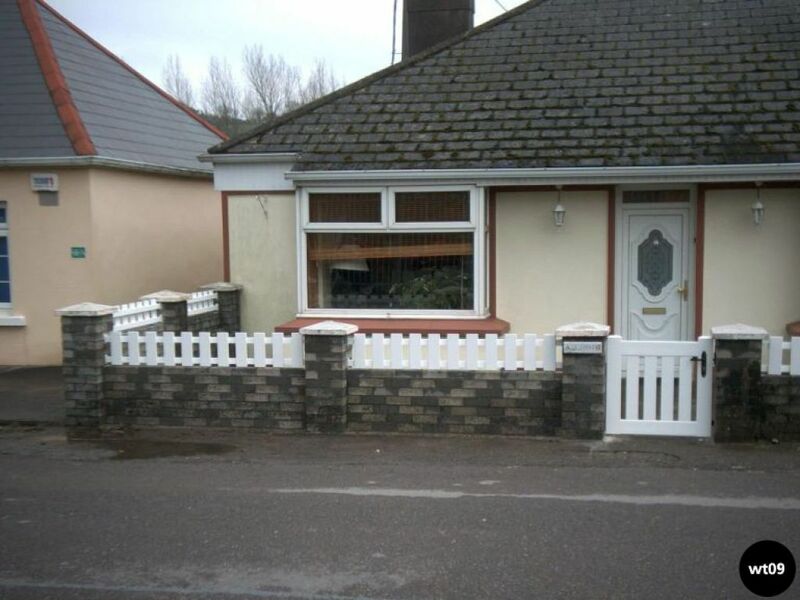 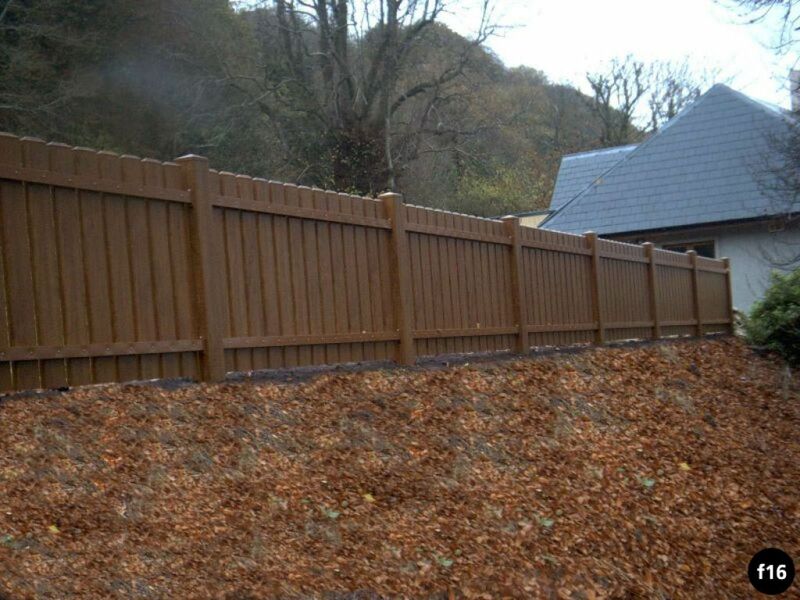 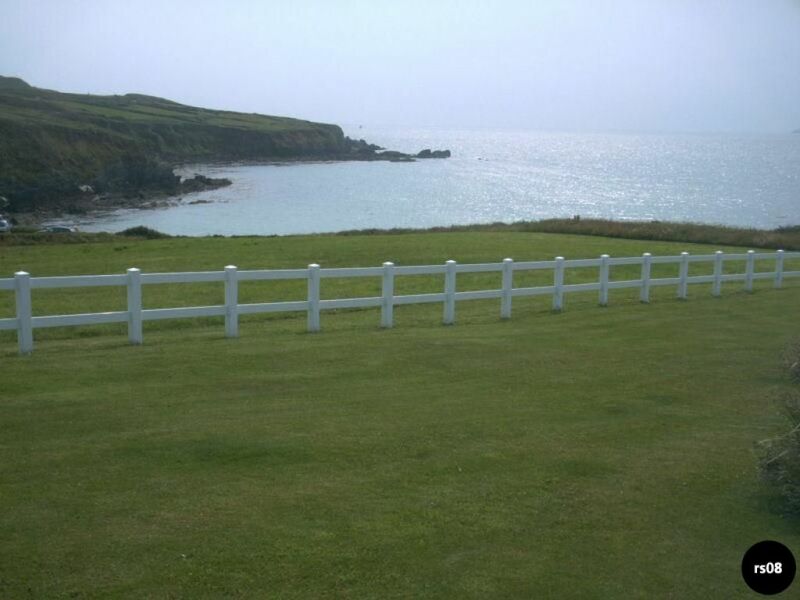 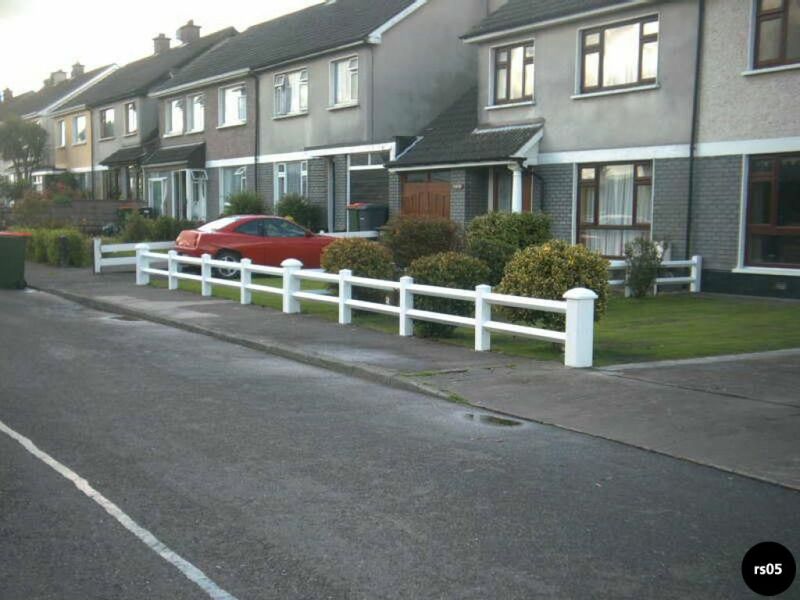 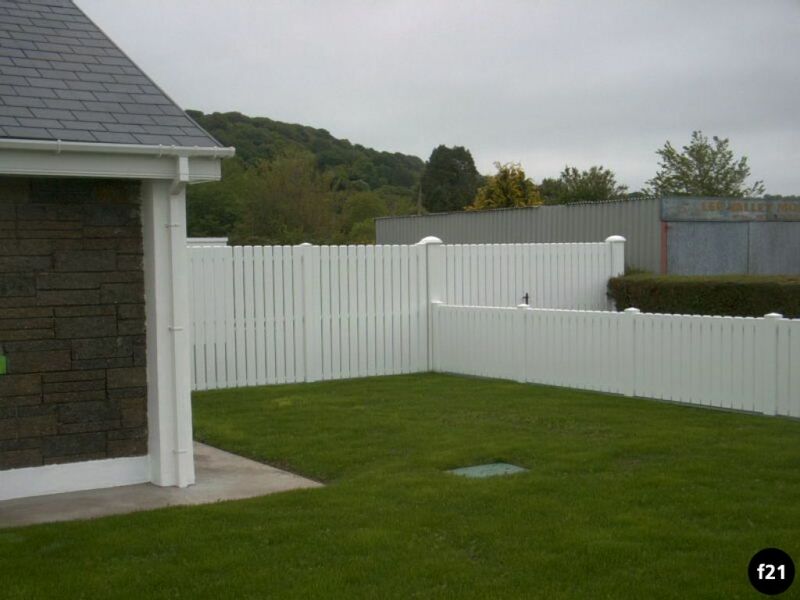 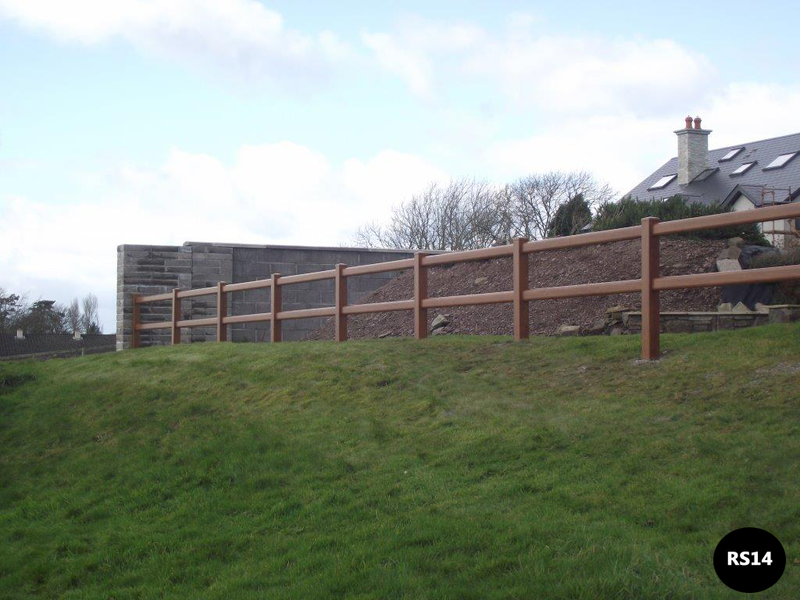 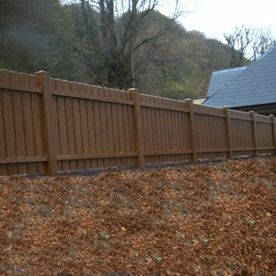 Whatever the reason, we can design pvc wall top fencing to your exact specification. 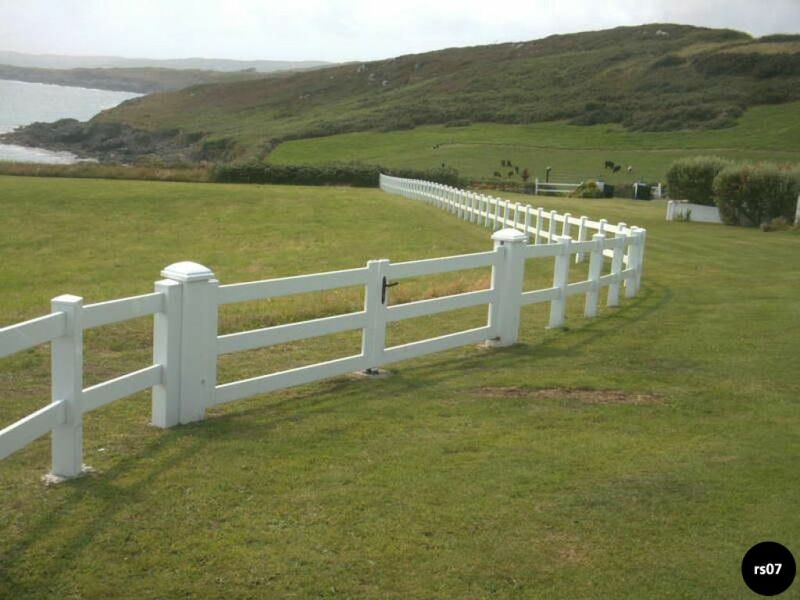 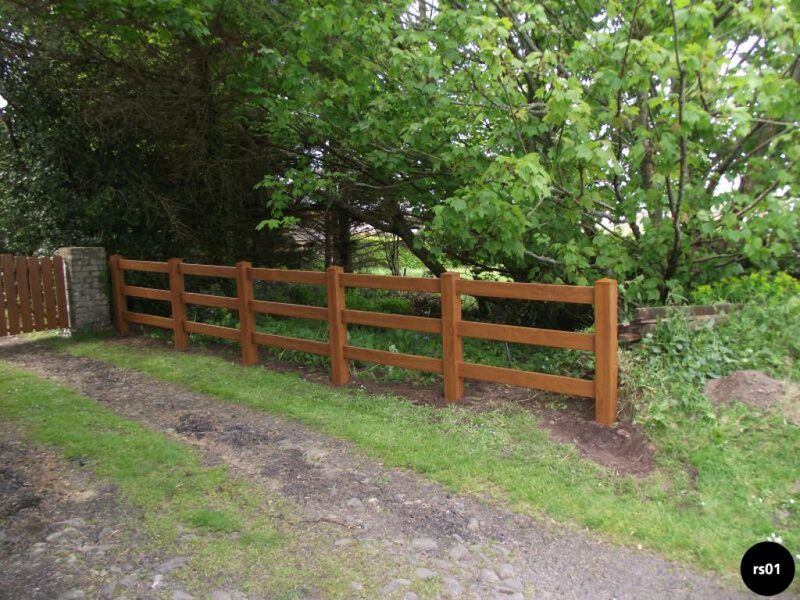 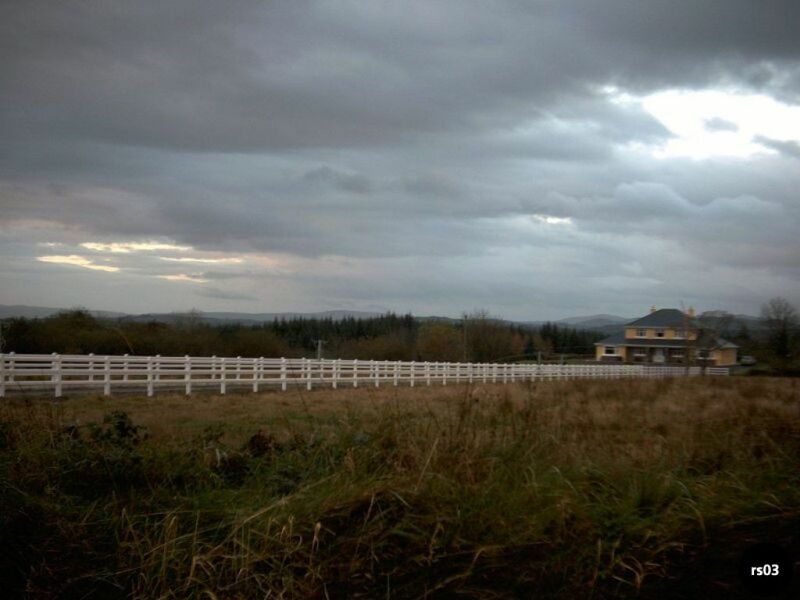  For those who don’t want a solid fence – the ranch style is perfect. 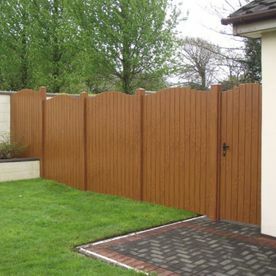 This more traditional look is great for establishing boundaries and sectioning off areas. 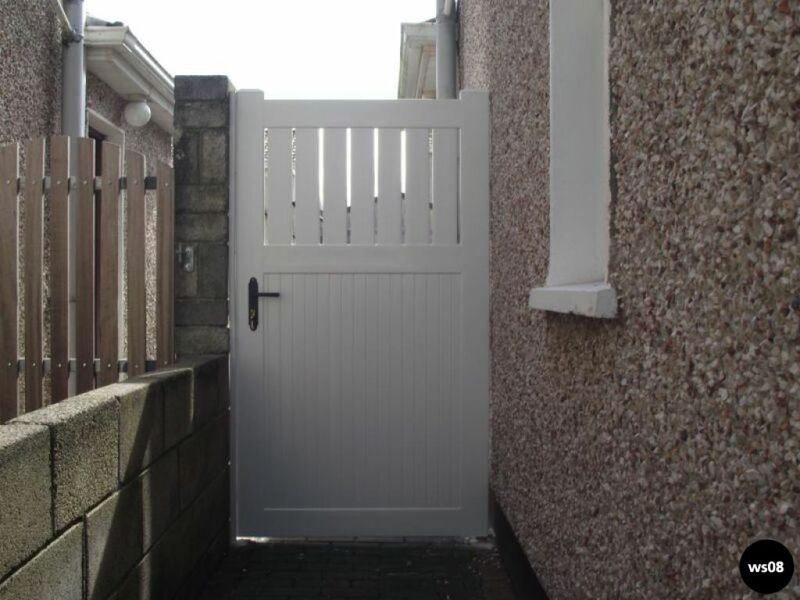 Available in White or Golden Oak Woodgrain, suitable for replacing wood on existing galvanised frames or for new frames as maintenance free alternative to wood. 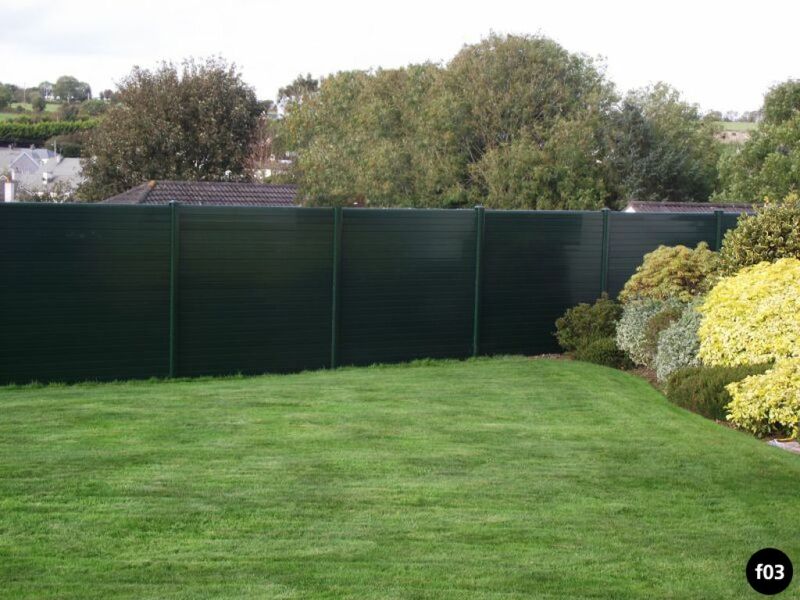 Available in lengths up to 6 metres. 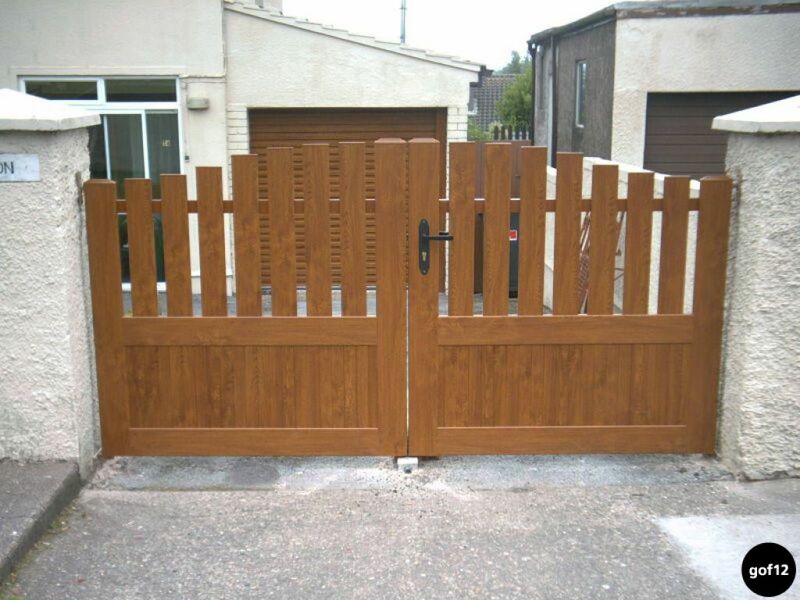 80mm X 80 mm, 100mm X 100mm, 120mm X 120mm and 200mm X 200mm. 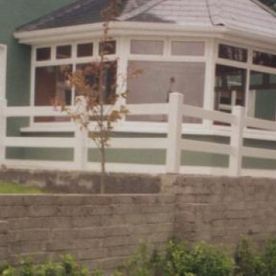 For posts or for cladding steel used in conservatories. 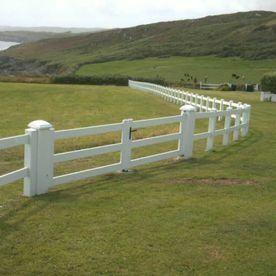 A range of caps and trim pieces are available to suit the above profiles.